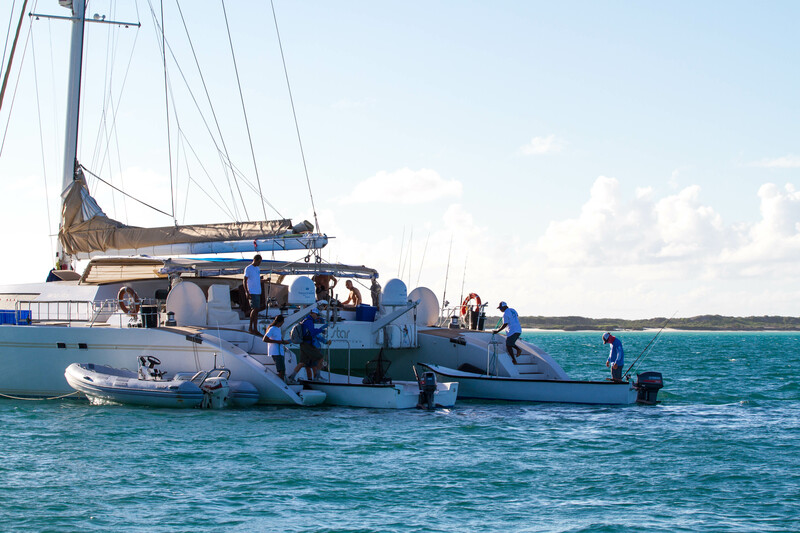 The first week of the highly anticipated Cosmoledo 2016 – 17 season kicked off with a bang. 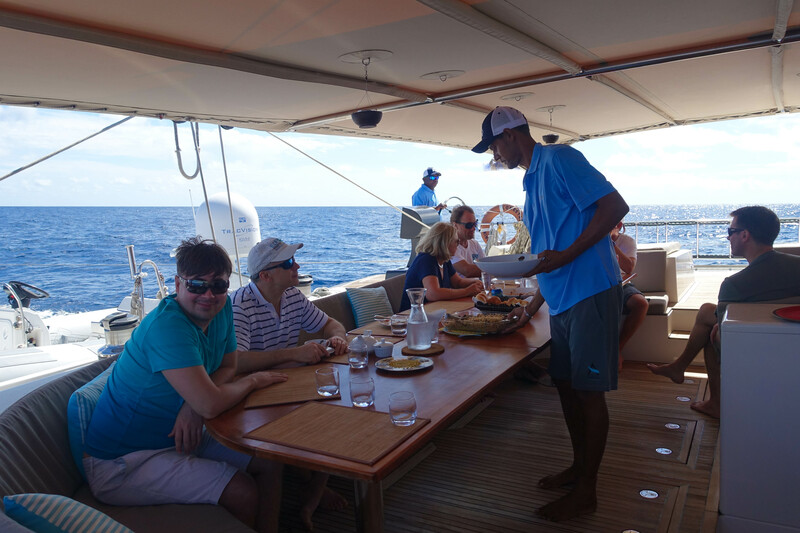 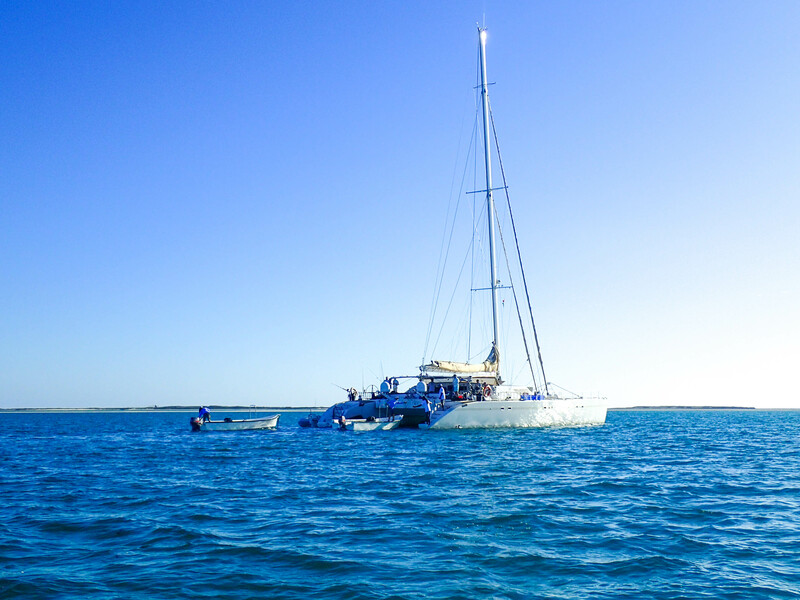 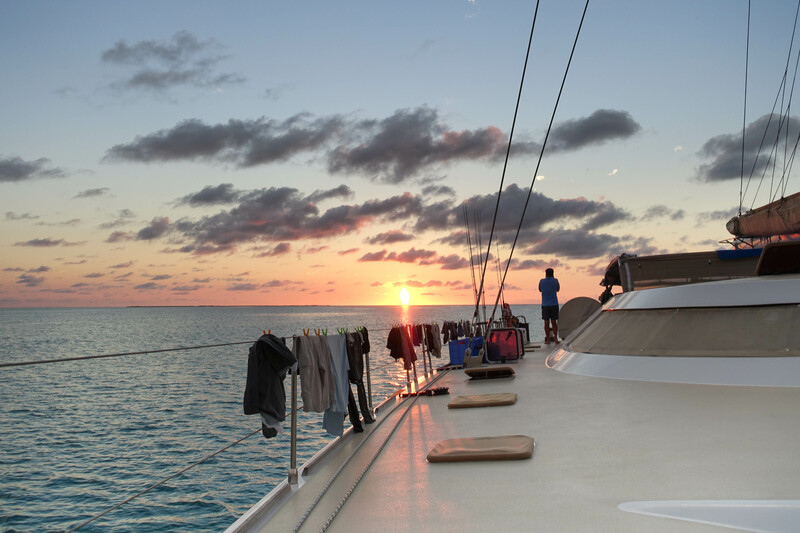 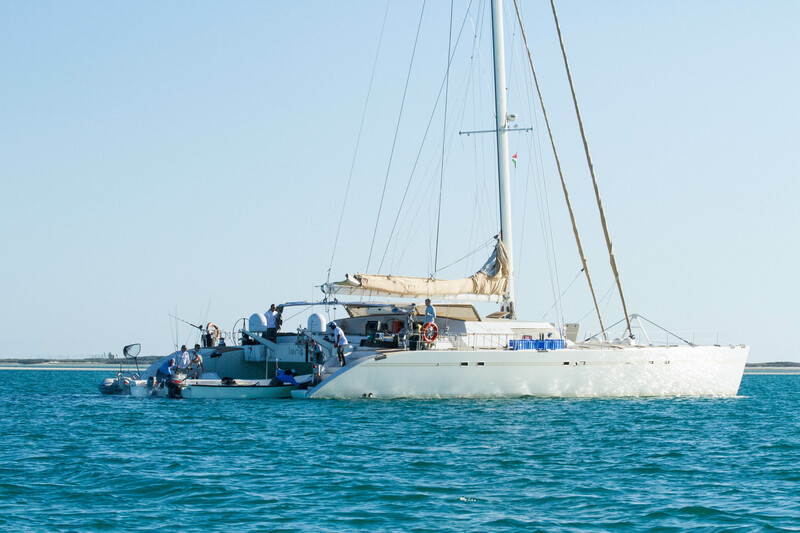 The first group of guests aboard our luxurious 85ft mother ship, Lone Star, included father and son team Jeff and Ryan Monsein, Kay Jones, Matt Naber, Egor Chulanov, Stanislav Gorbounov and Nickolai Stelmach. 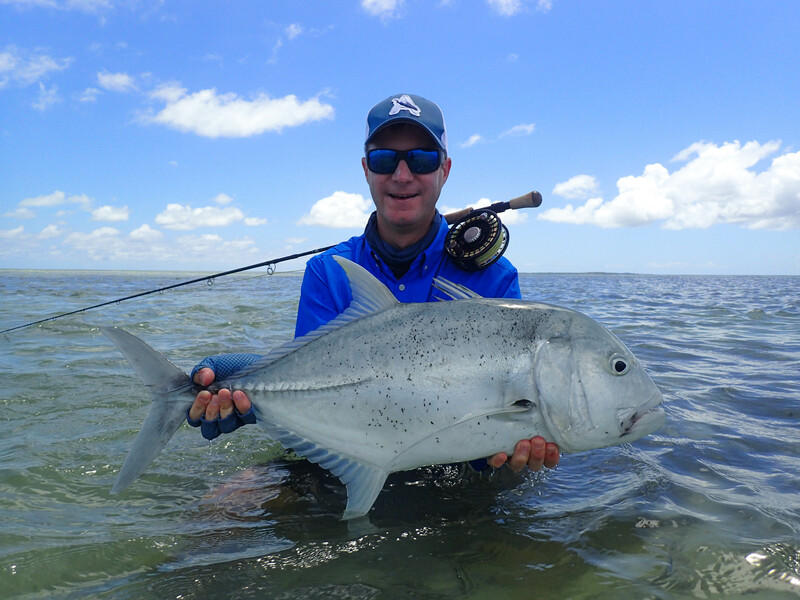 With the tidal cycle moving into spring tides and a ‘super moon’ later in the week, everything looked perfect for big water movements and big fish! 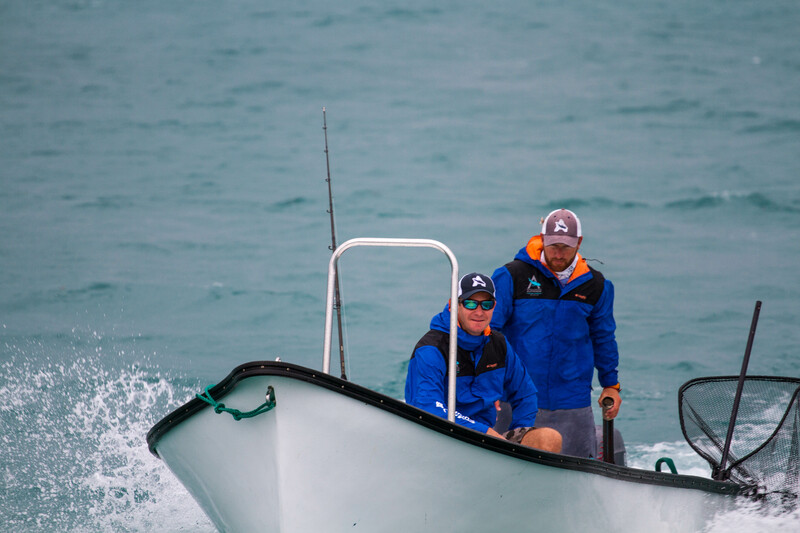 As comfortable as the Lone Star is it didn’t take too much convincing to get the team onto the skiffs and racing to the hot spots. 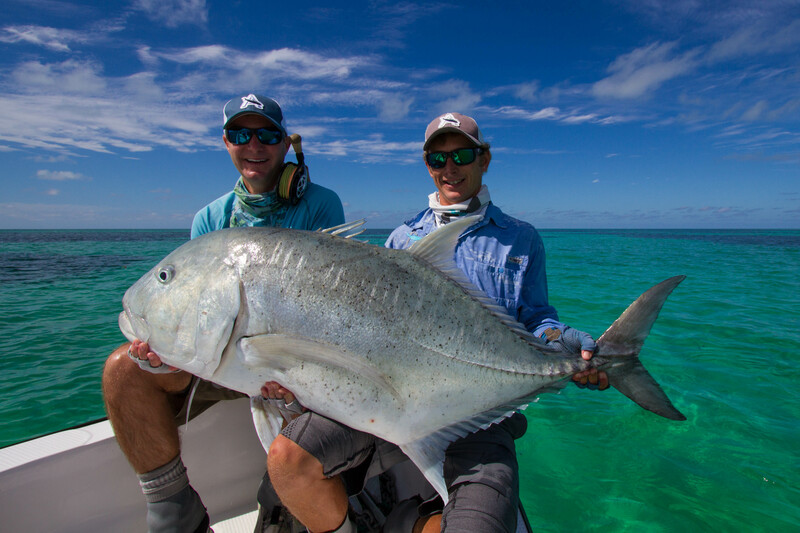 Ryan opened his GT account with a monster of 120cm, a giant fish by any standards. 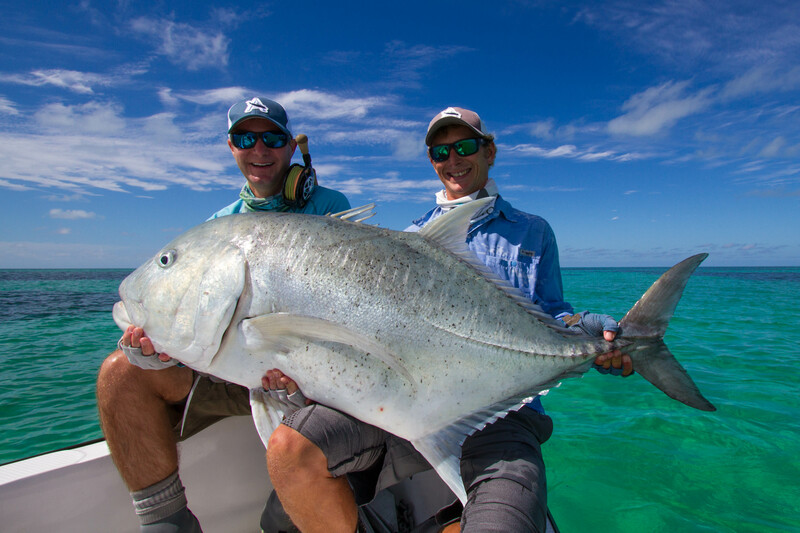 Not to be out done, Matt made the perfect cast with a NYAP that could not be refused by another giant. 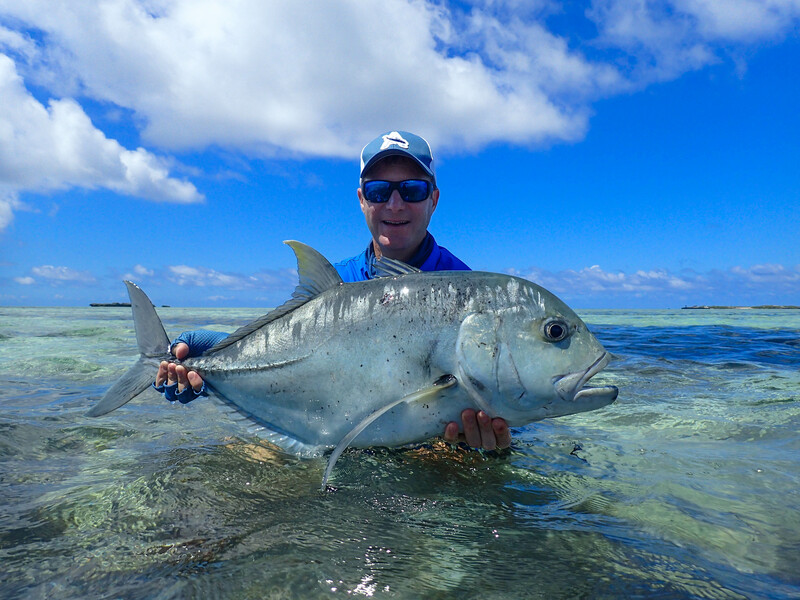 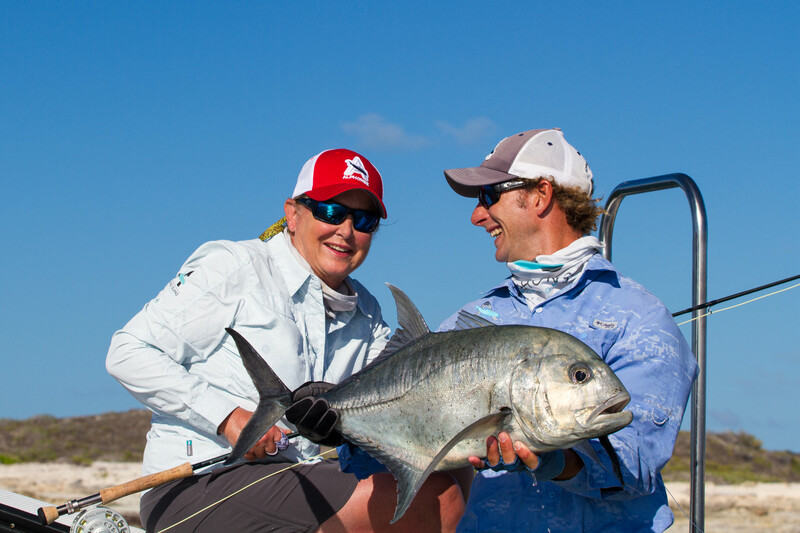 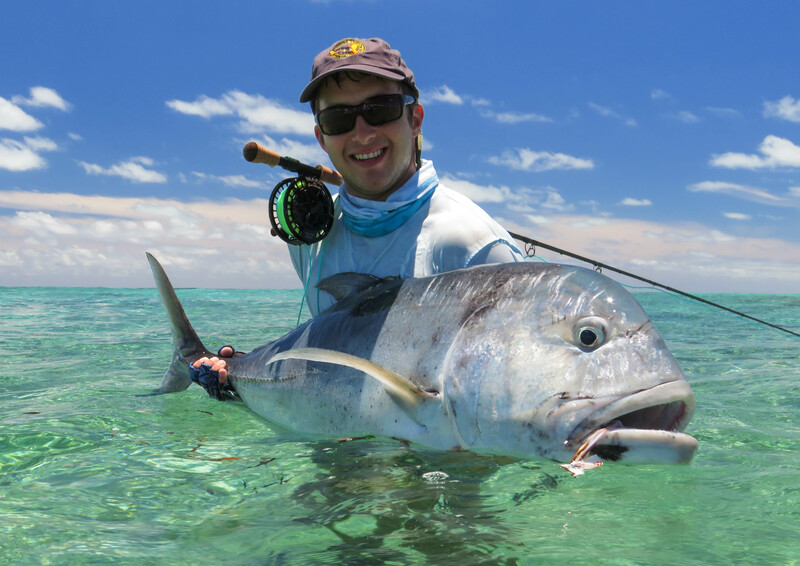 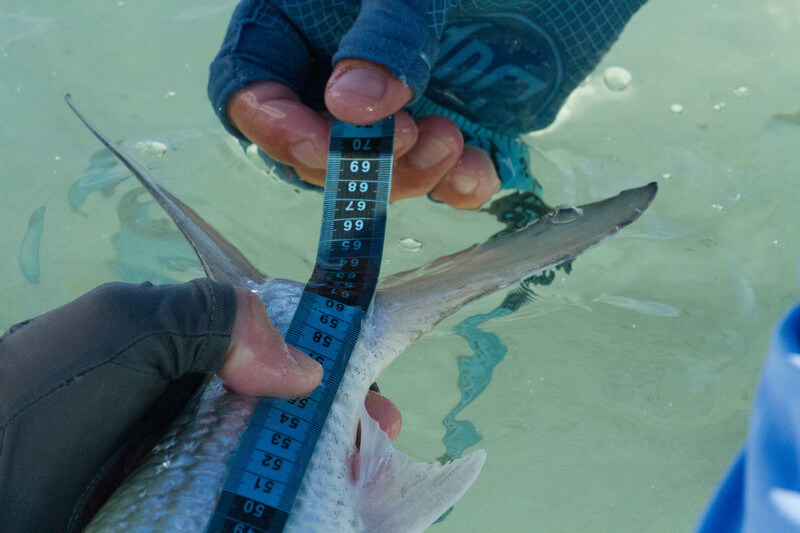 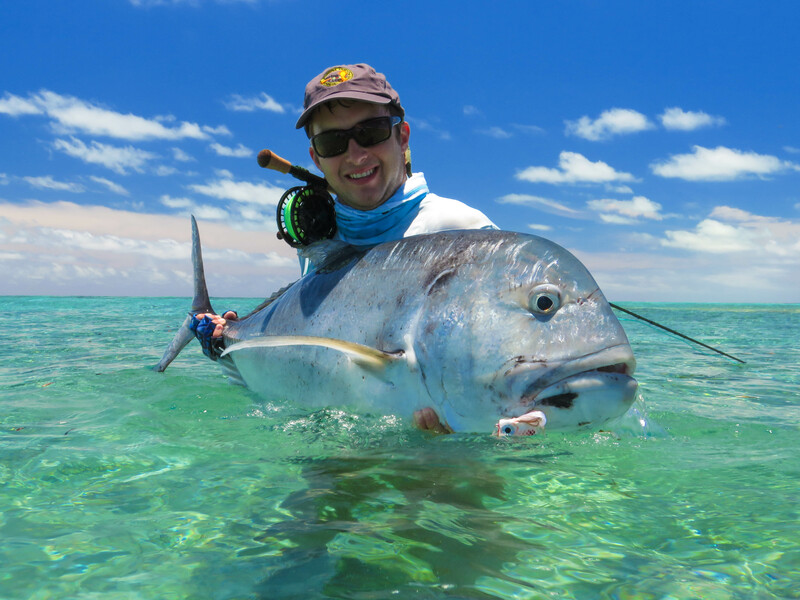 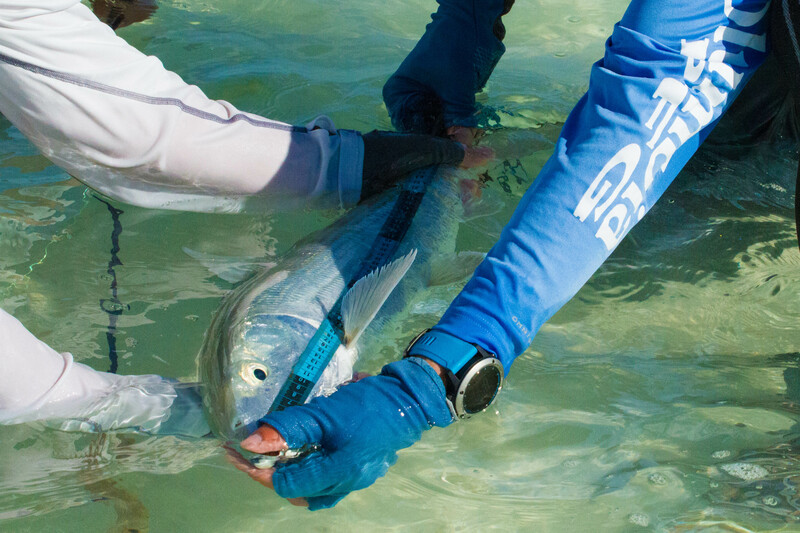 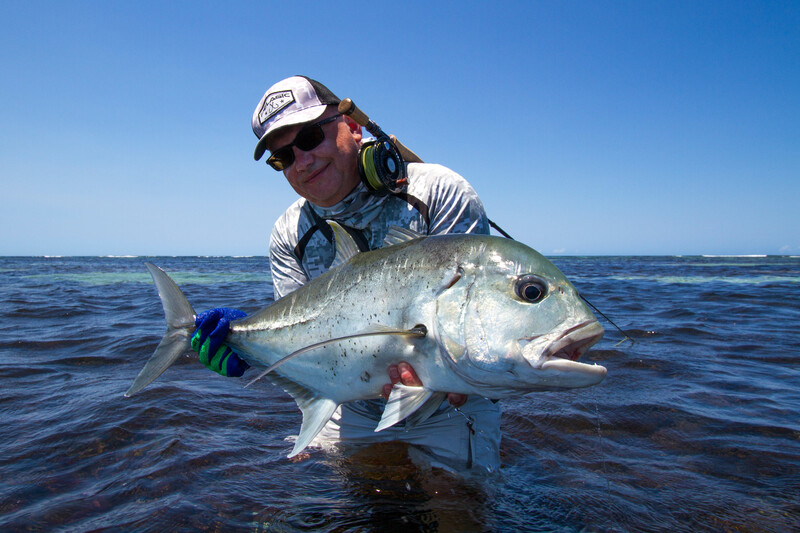 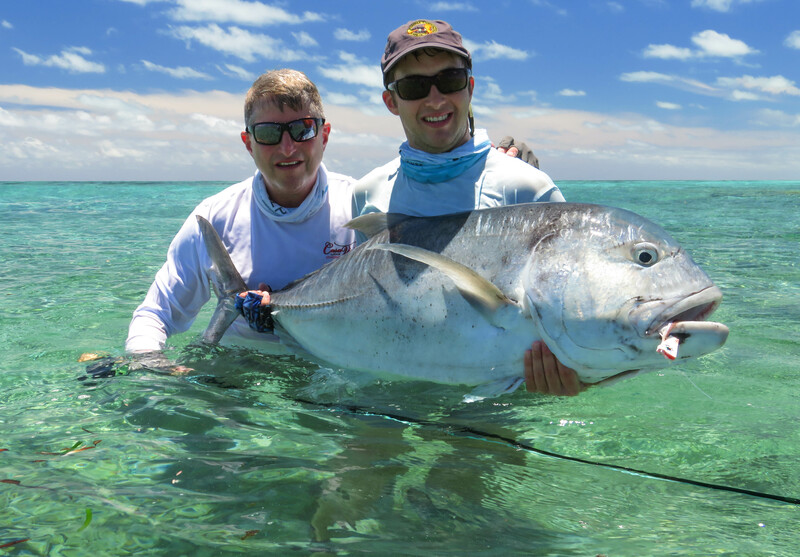 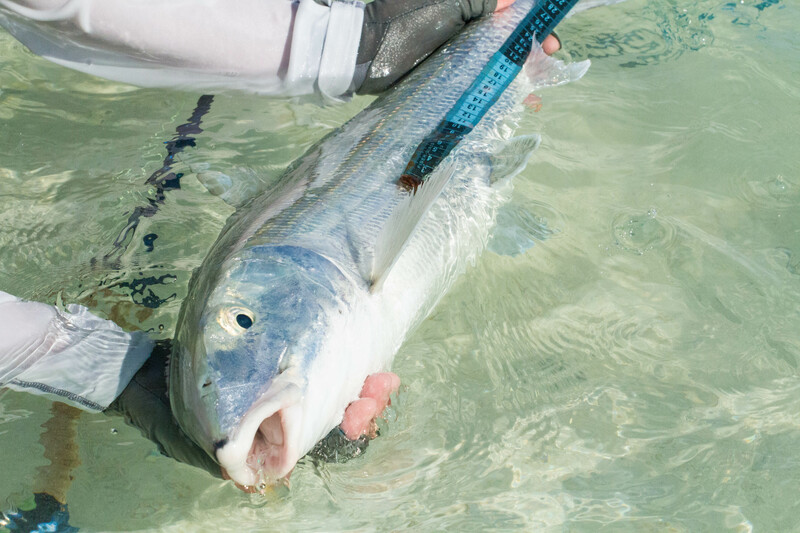 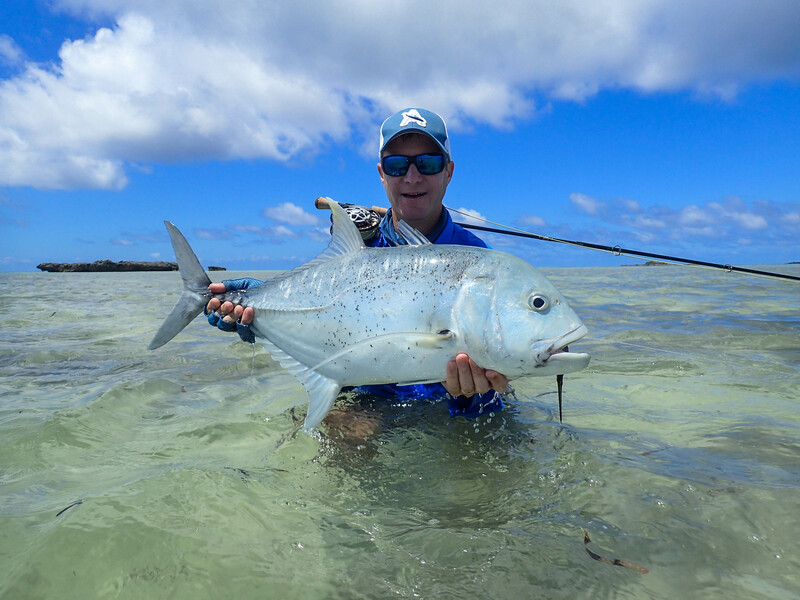 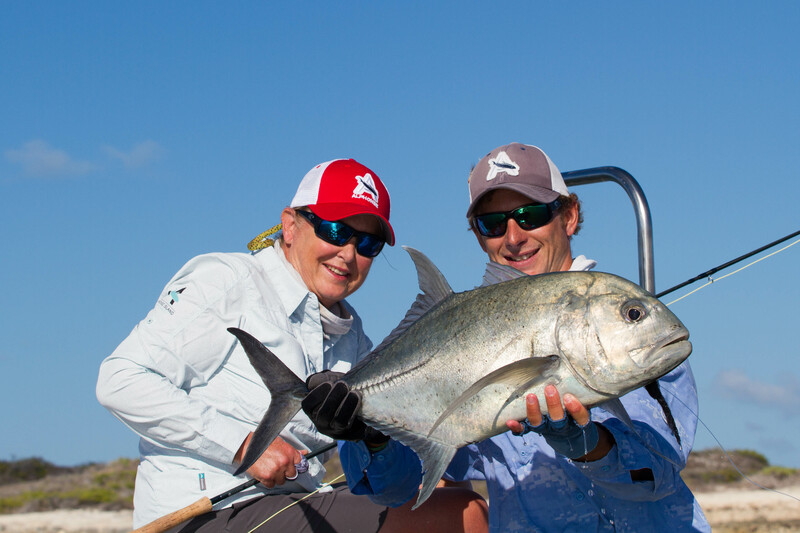 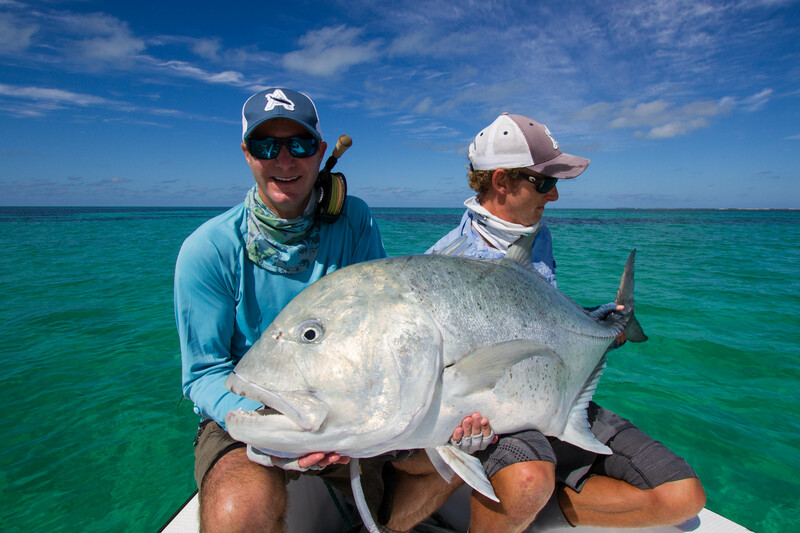 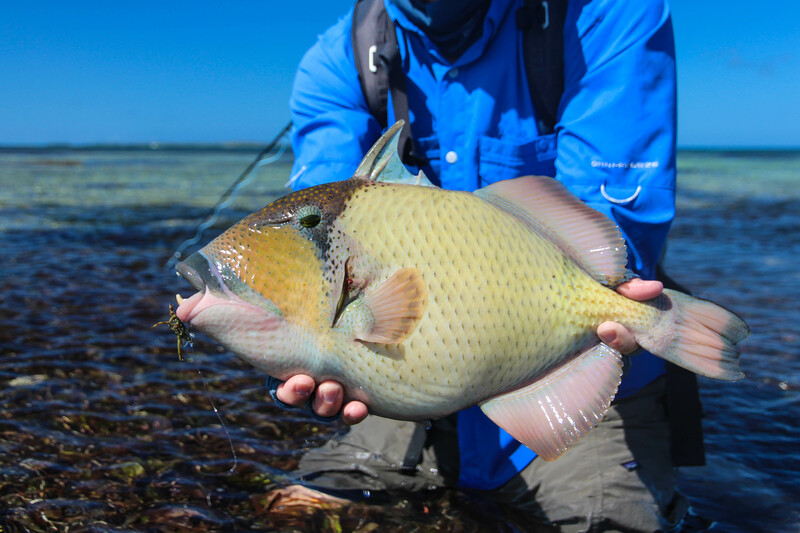 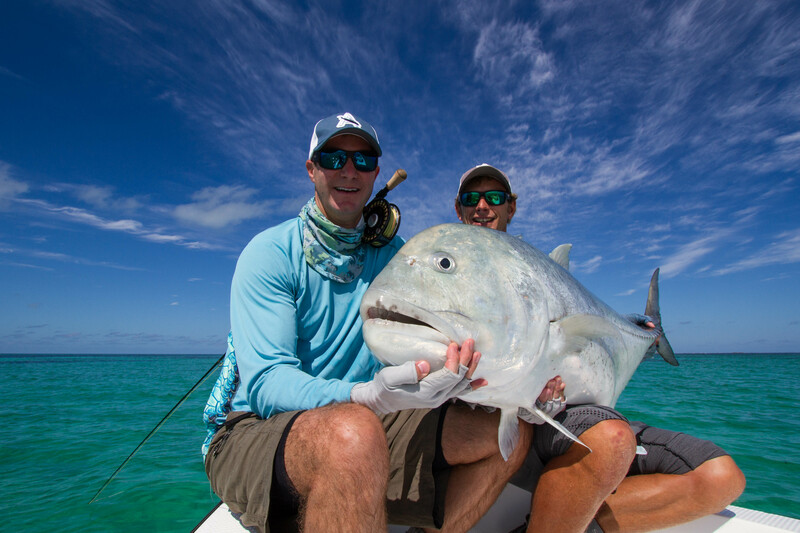 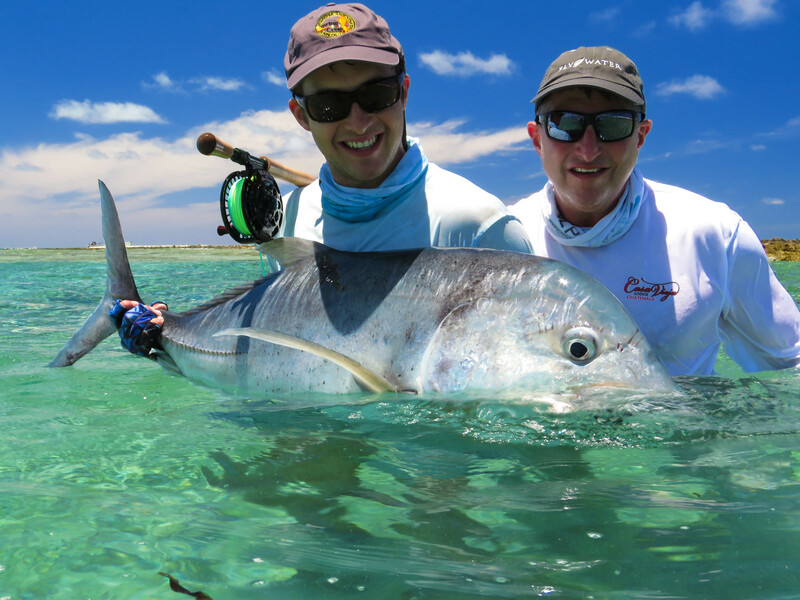 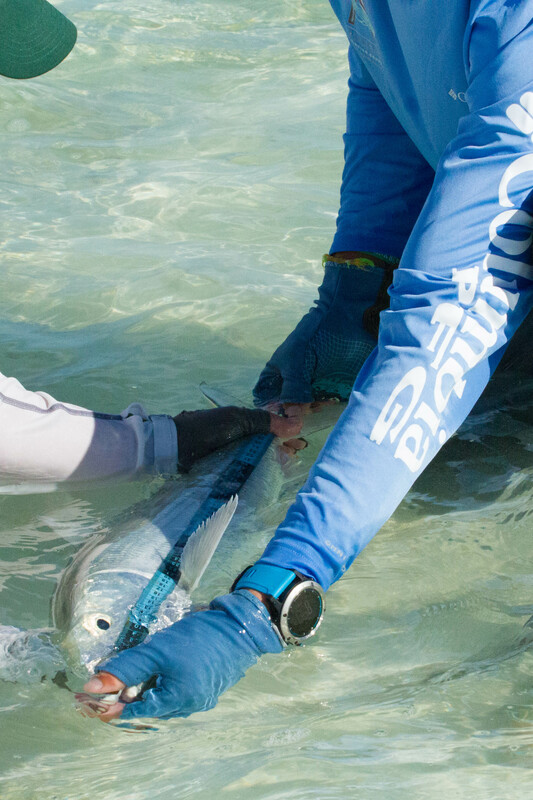 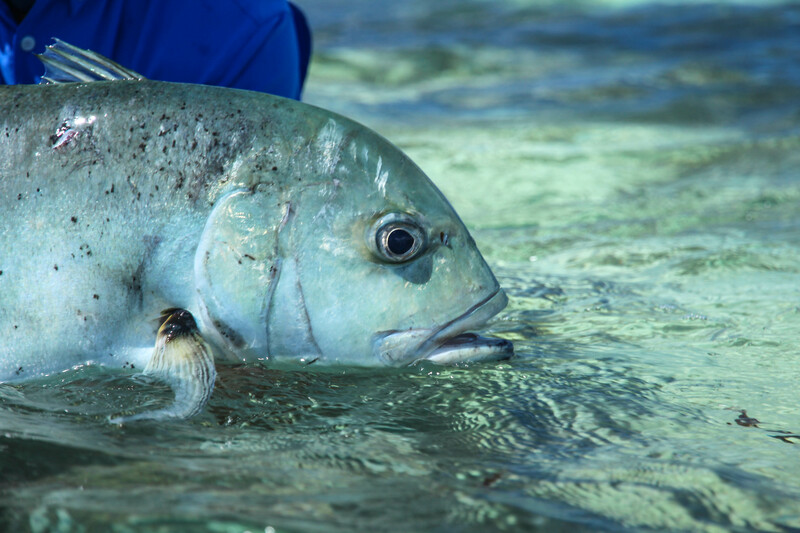 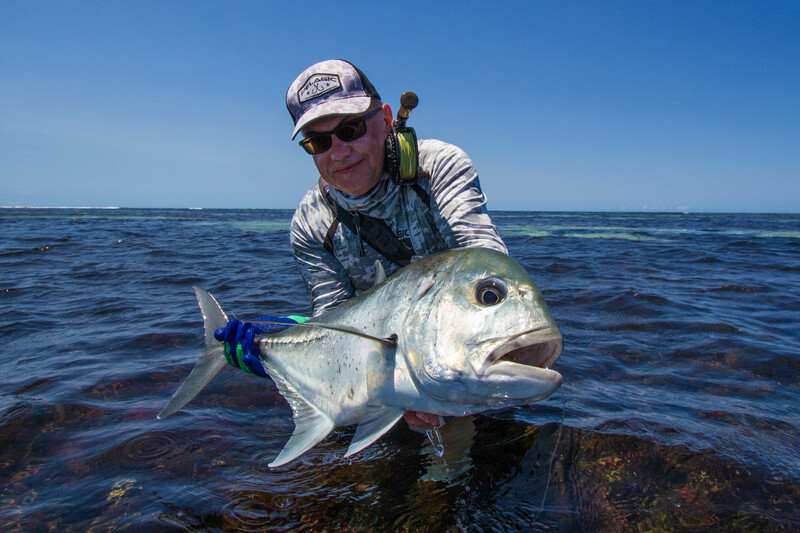 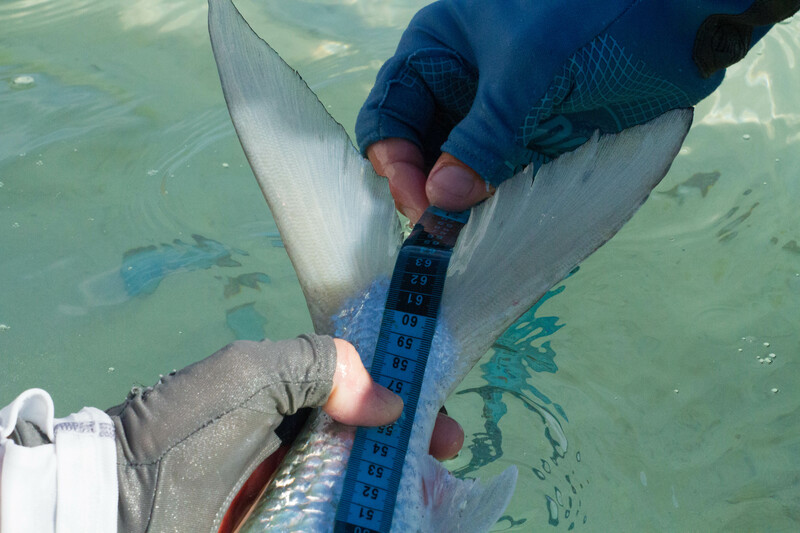 The ensuing tussle with a 125cm of angry giant trevally made Matt’s day. 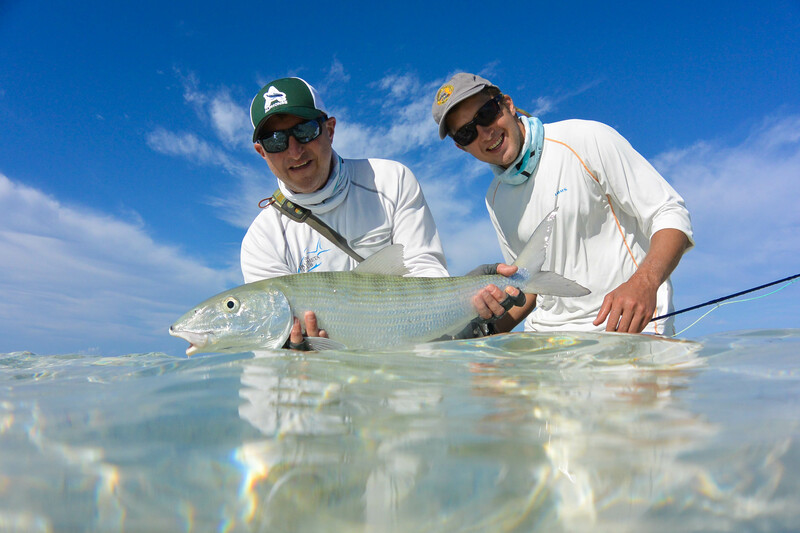 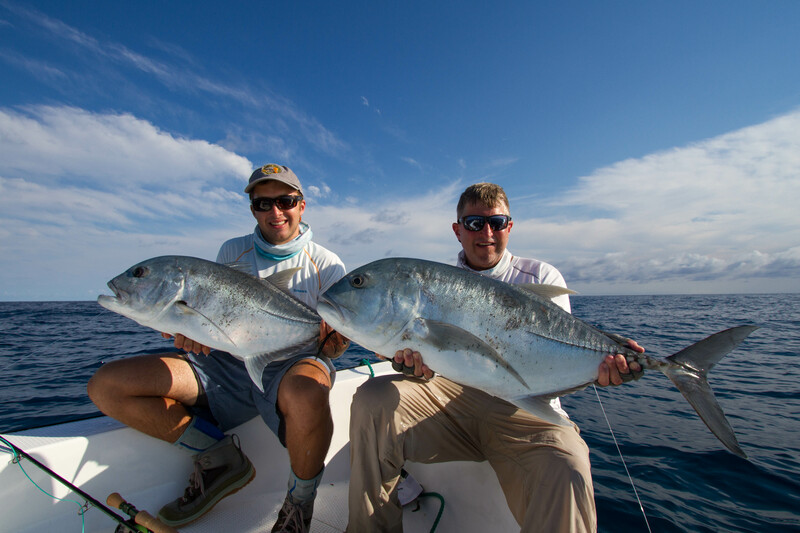 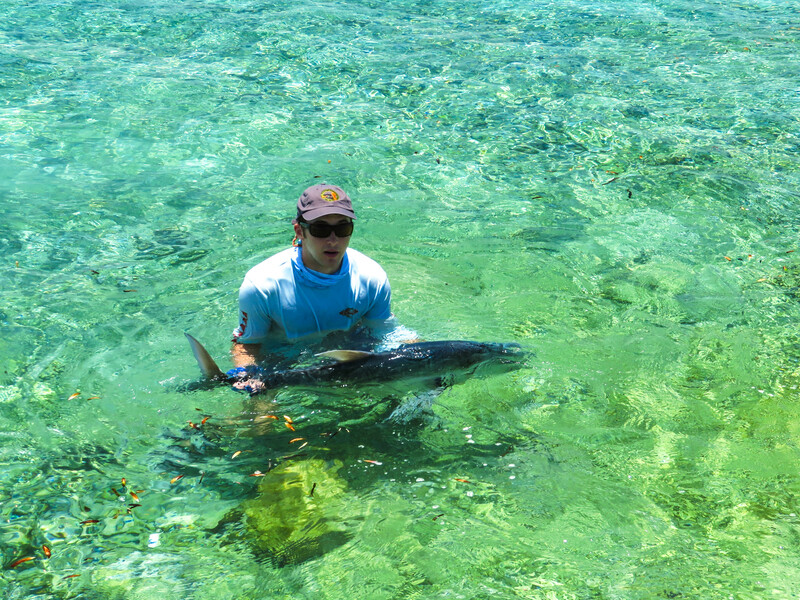 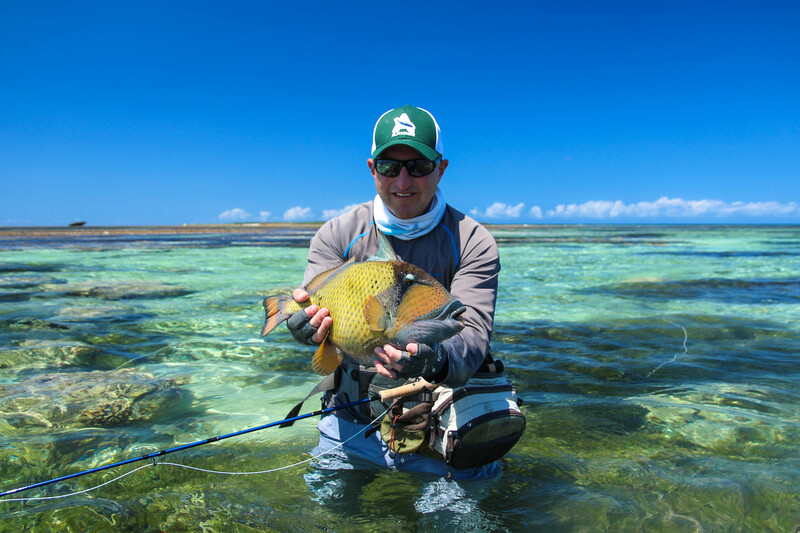 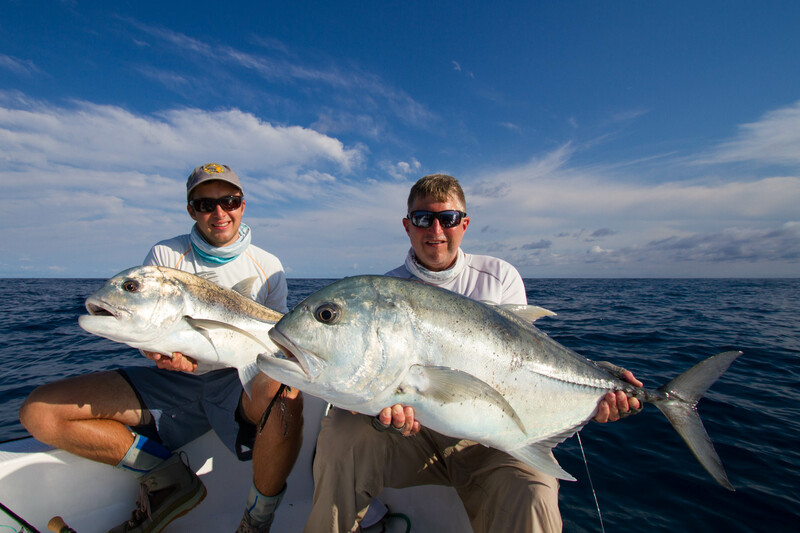 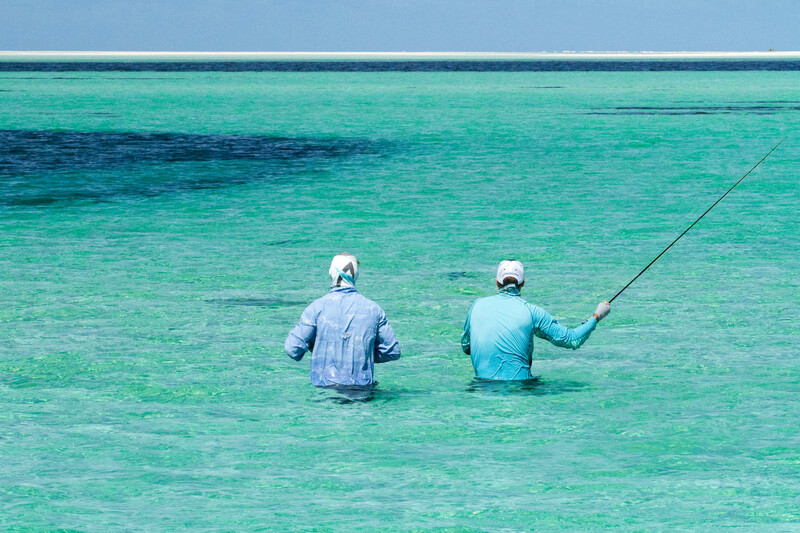 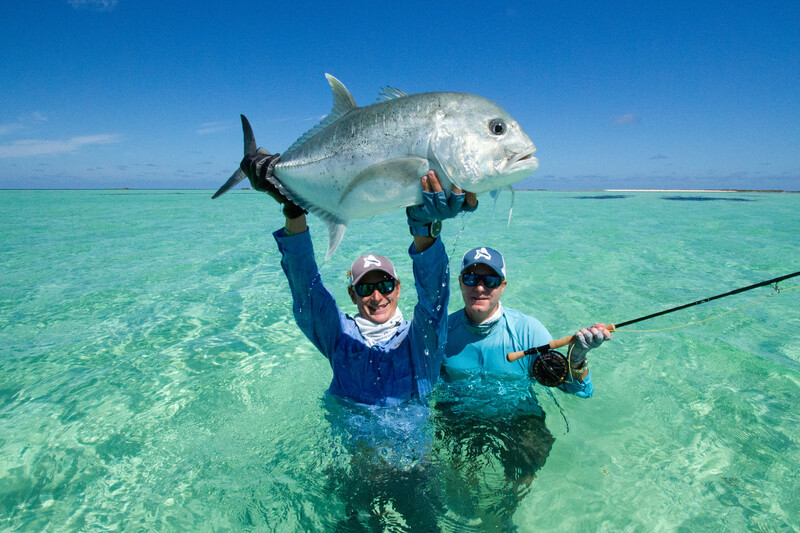 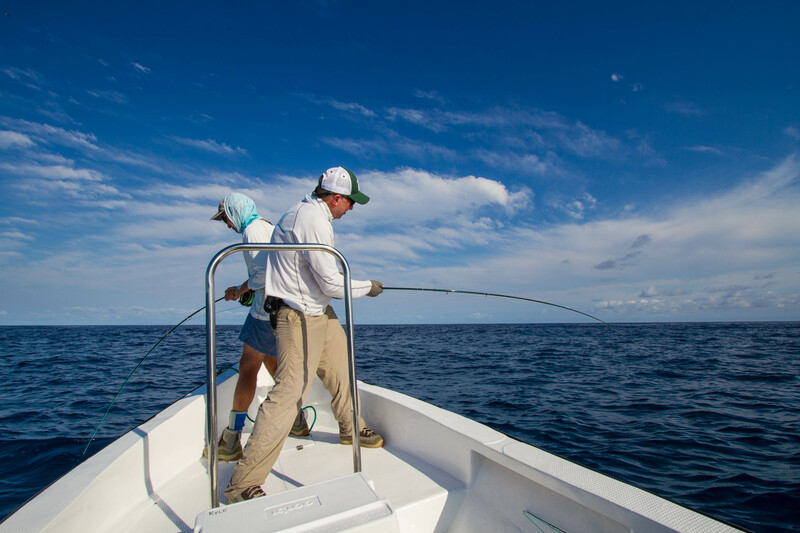 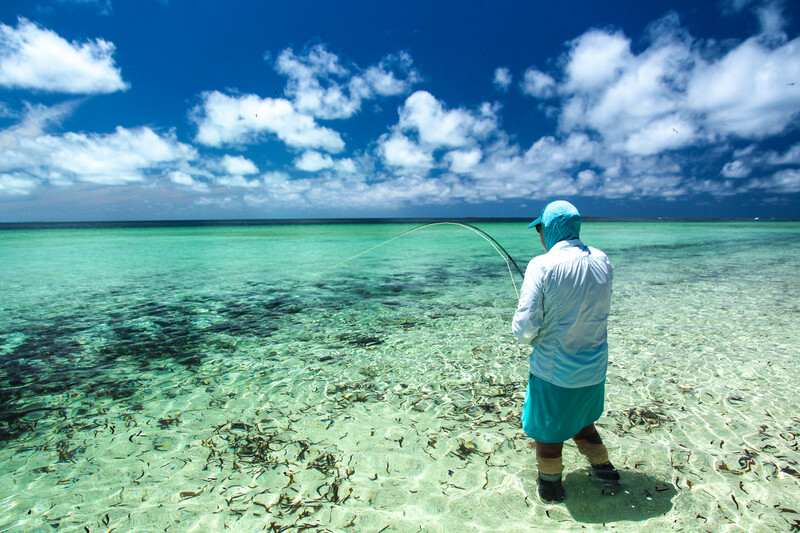 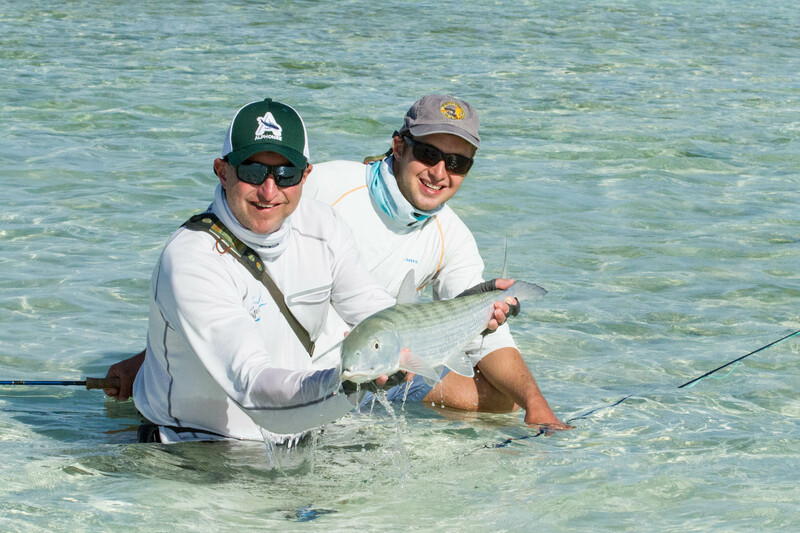 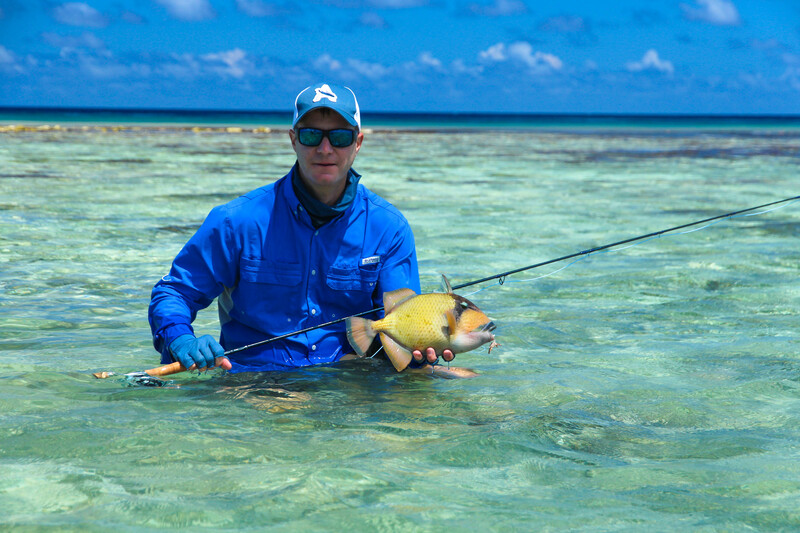 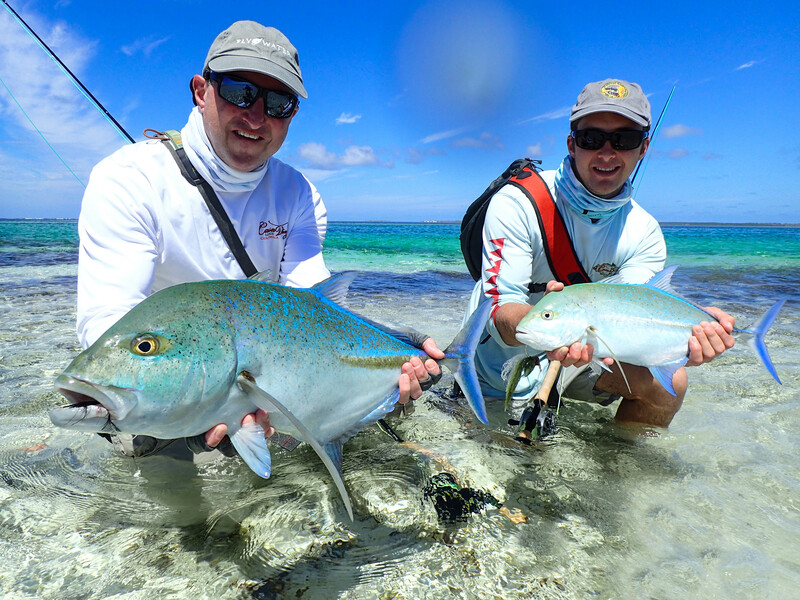 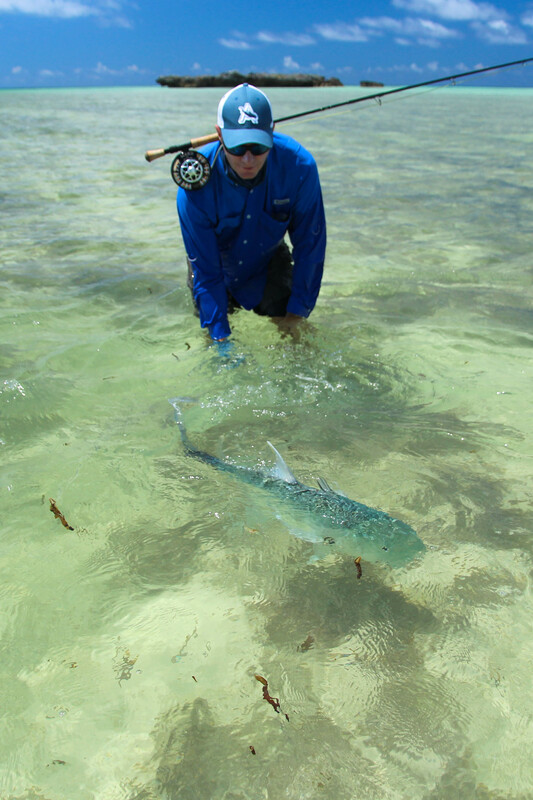 Two fish over 120cm on the opening day of the season had all the guests and guides fired up for the rest of the week. 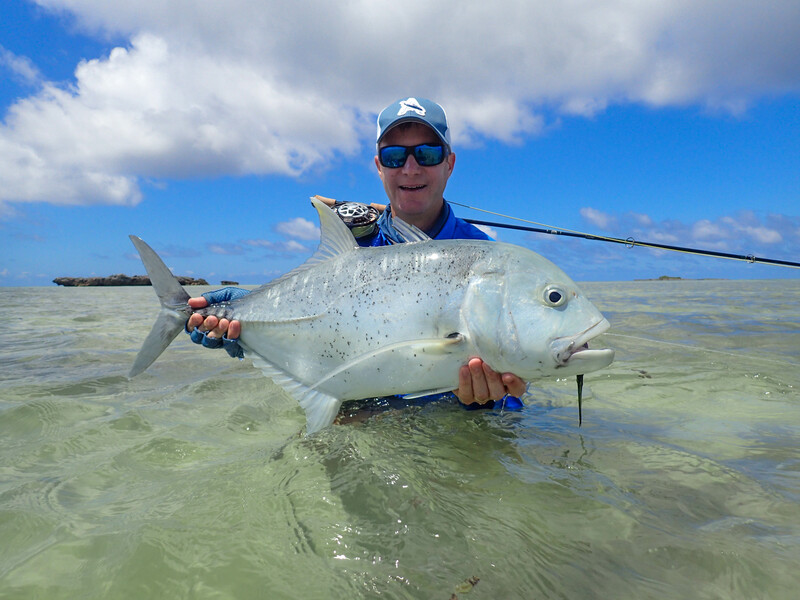 As the week progressed more and more GT’s were caught with stories shared over cold beers about big fish hooked and lost and so many close encounters with the fish of a life time. 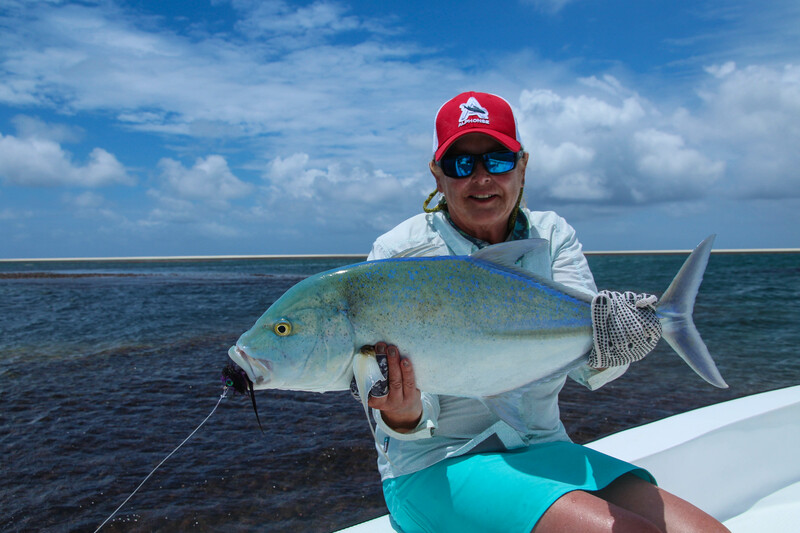 Kay Jones managed an impressive count of GT for the week including a solid 102cm fish as well as a pair of Moustache triggerfish. 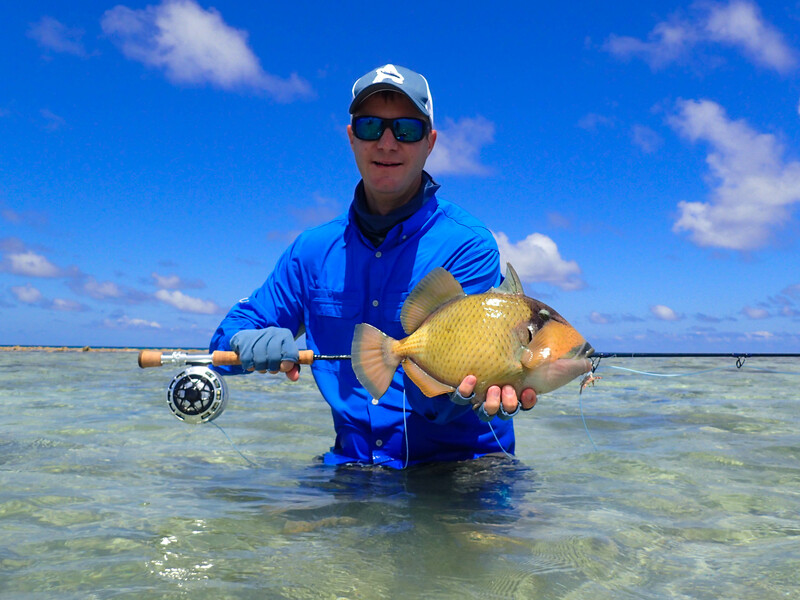 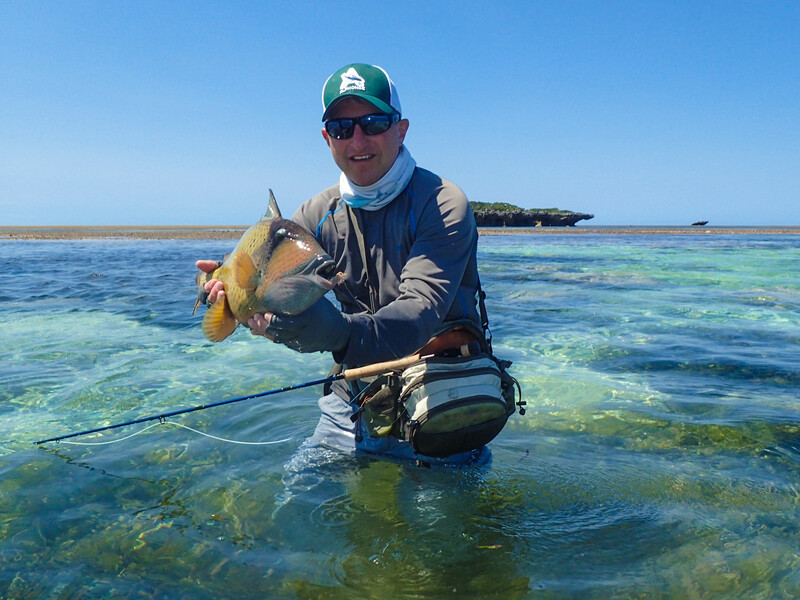 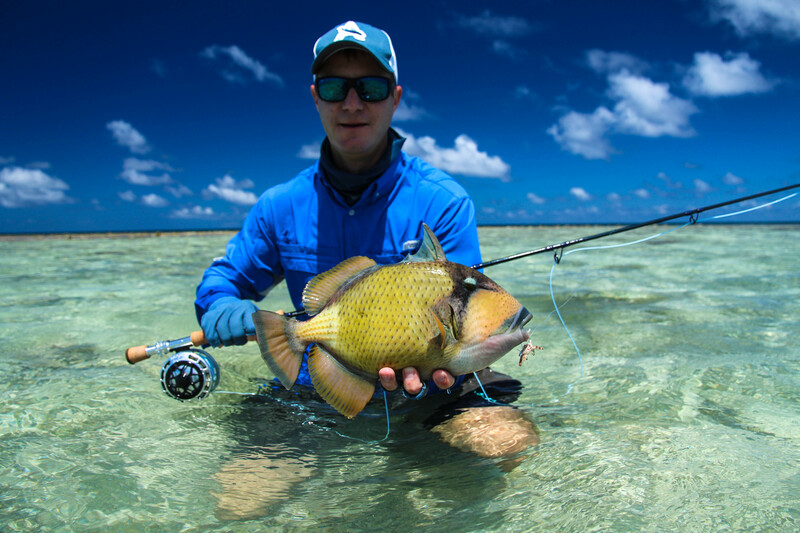 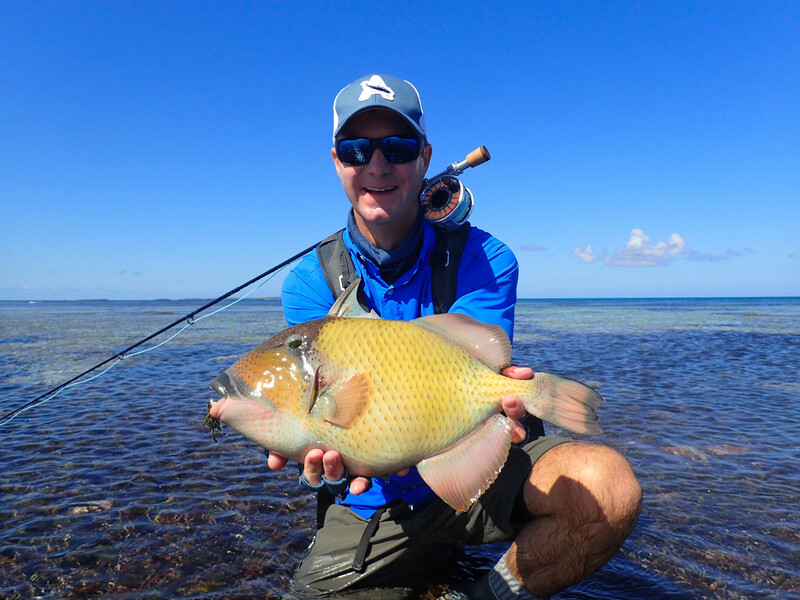 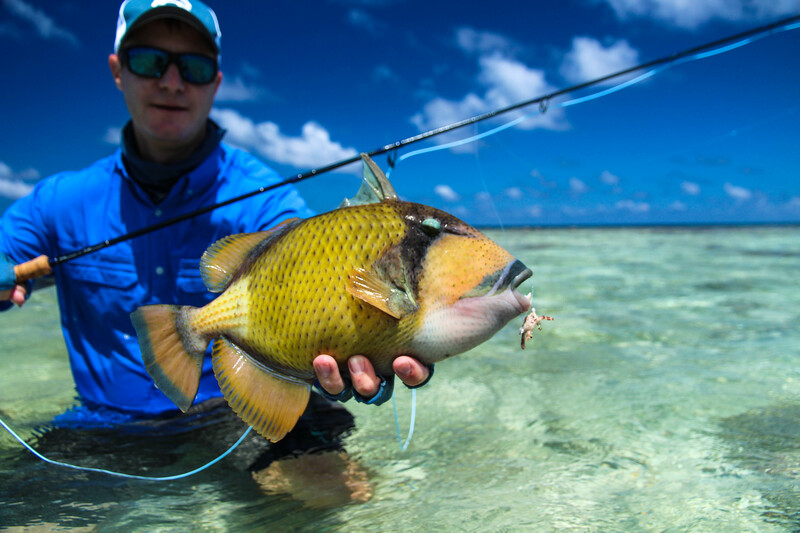 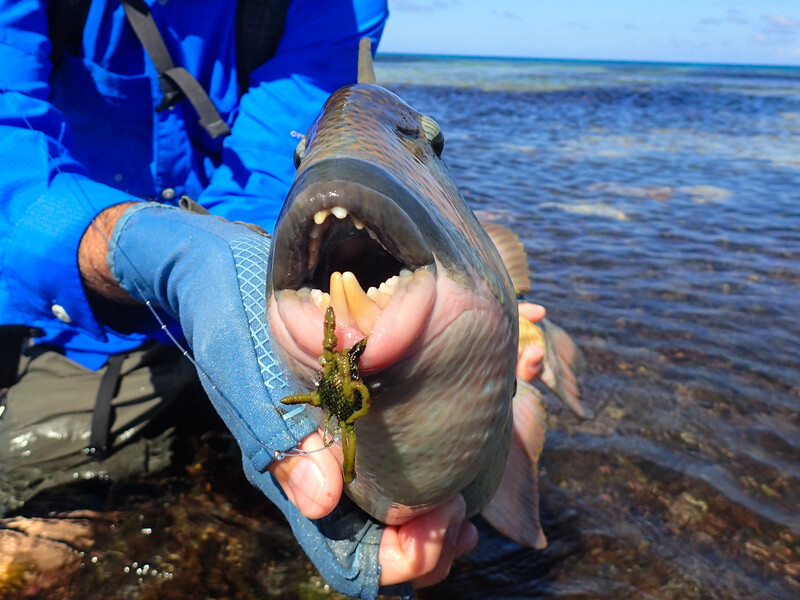 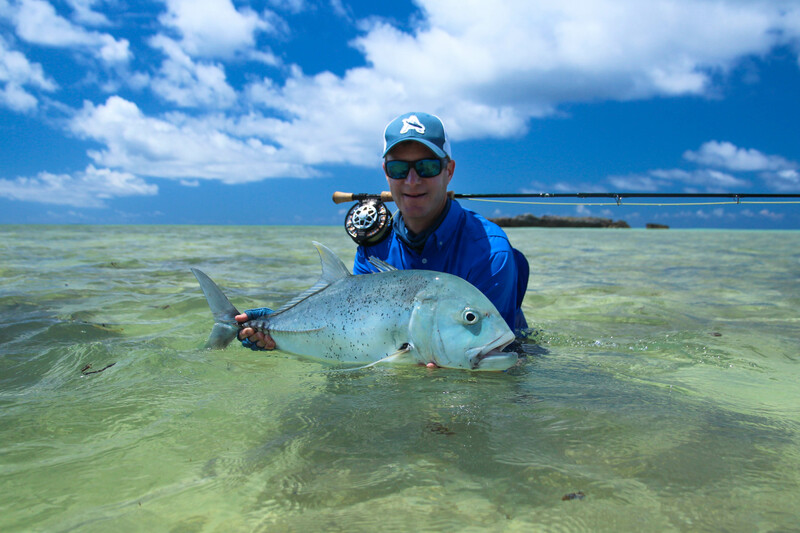 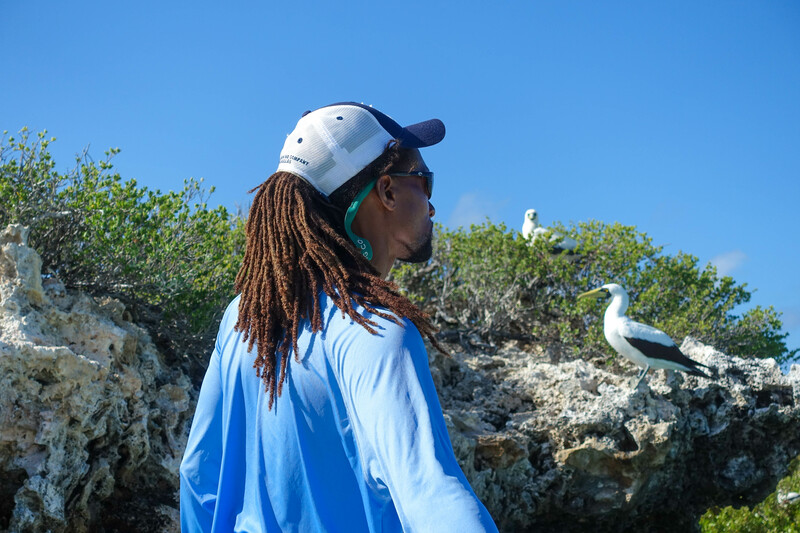 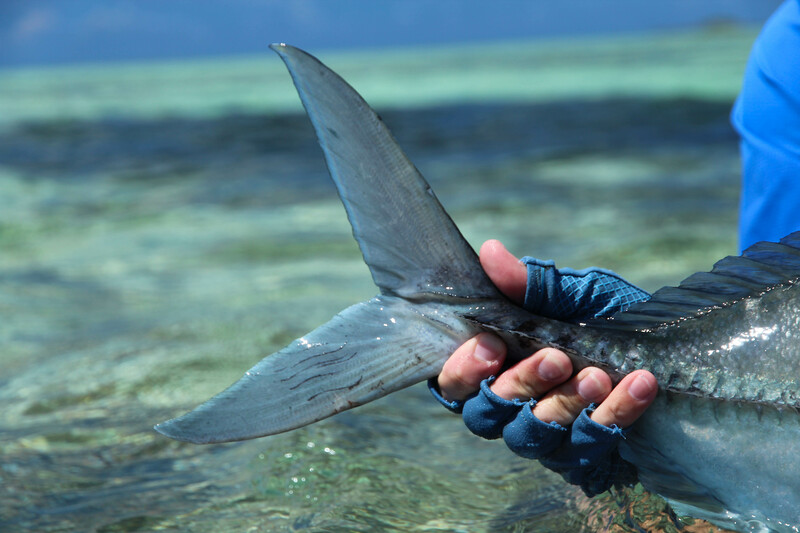 Matt continued where he started by landing a total of 17 GT’s, his first ever moustache triggerfish, a dogtooth tuna along with many more species. 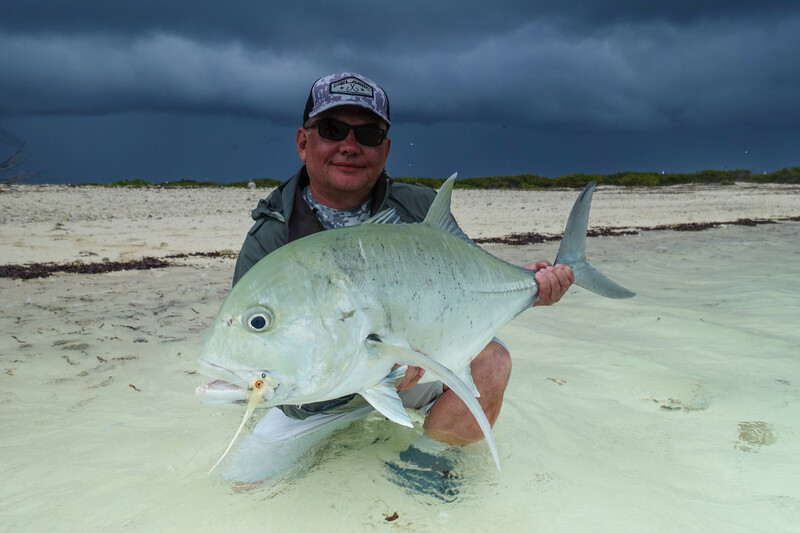 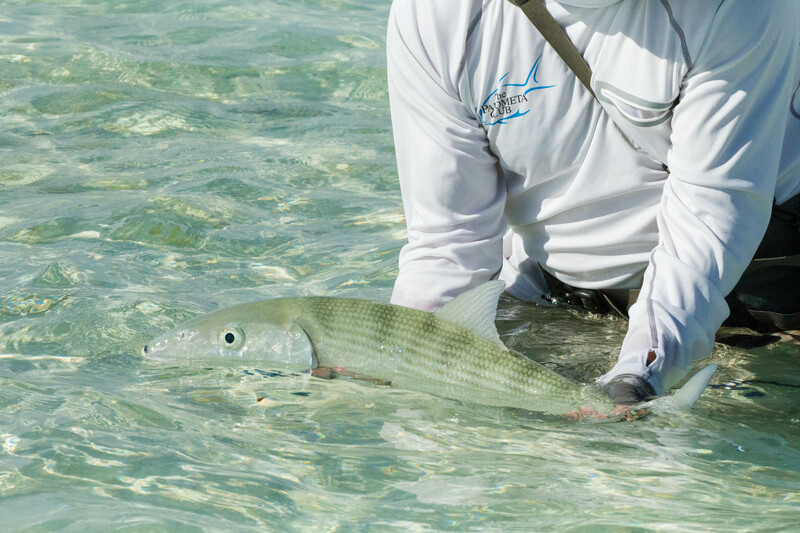 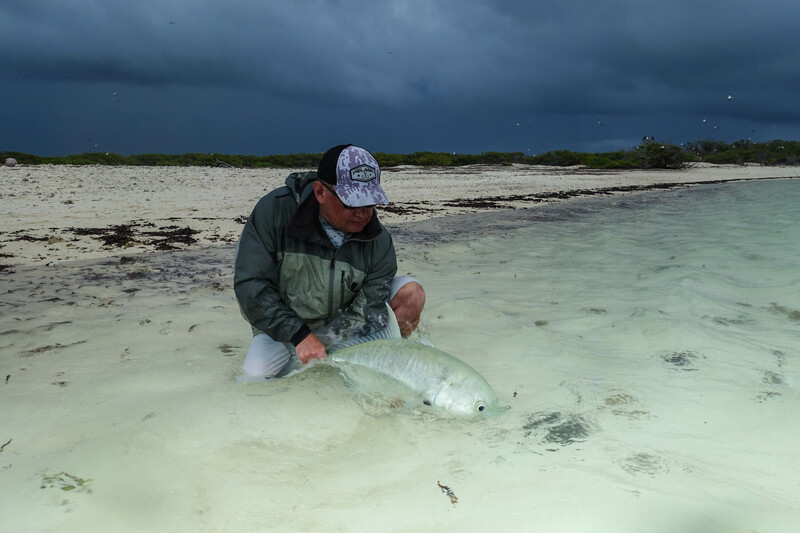 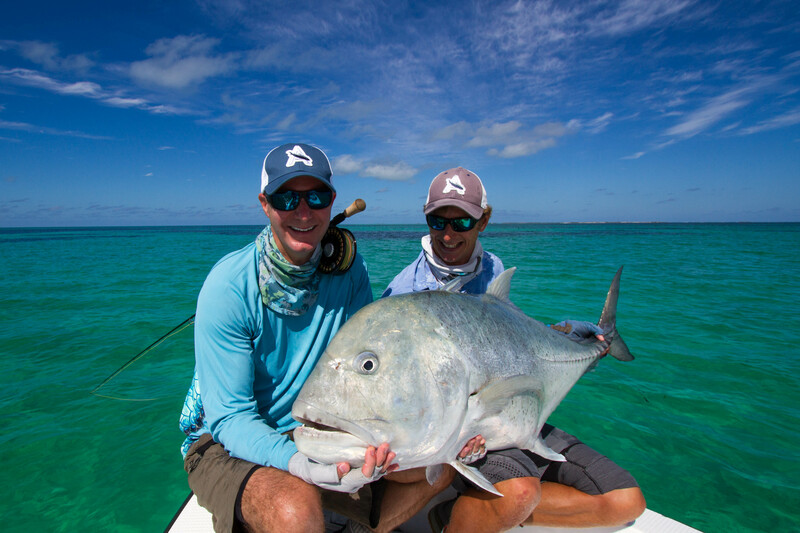 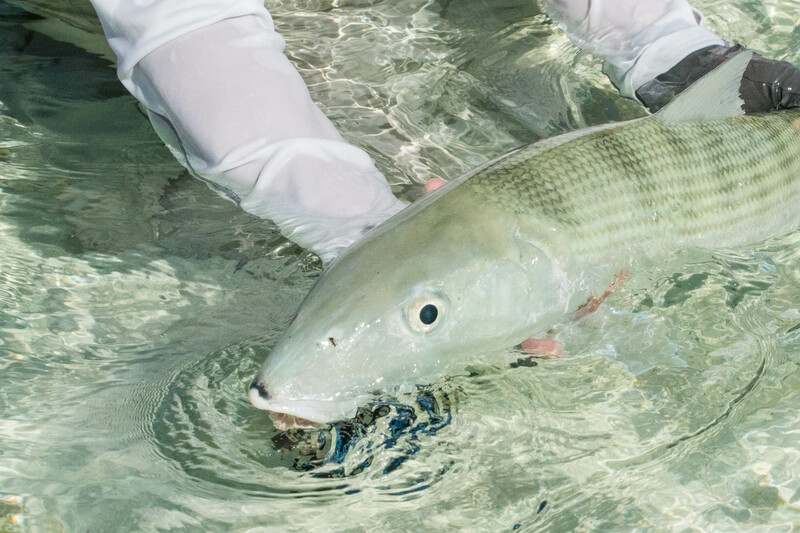 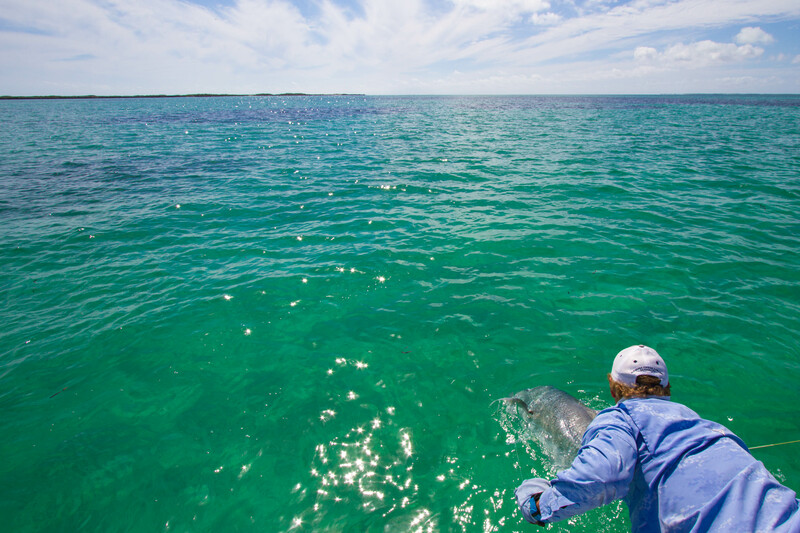 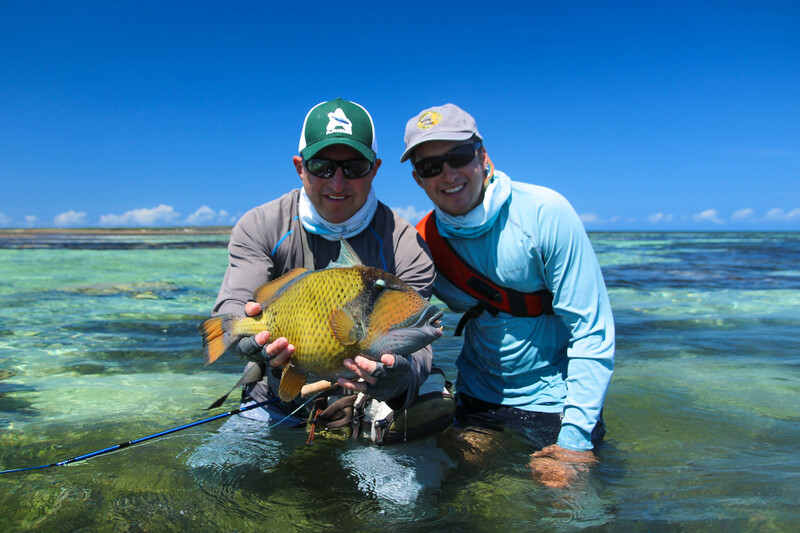 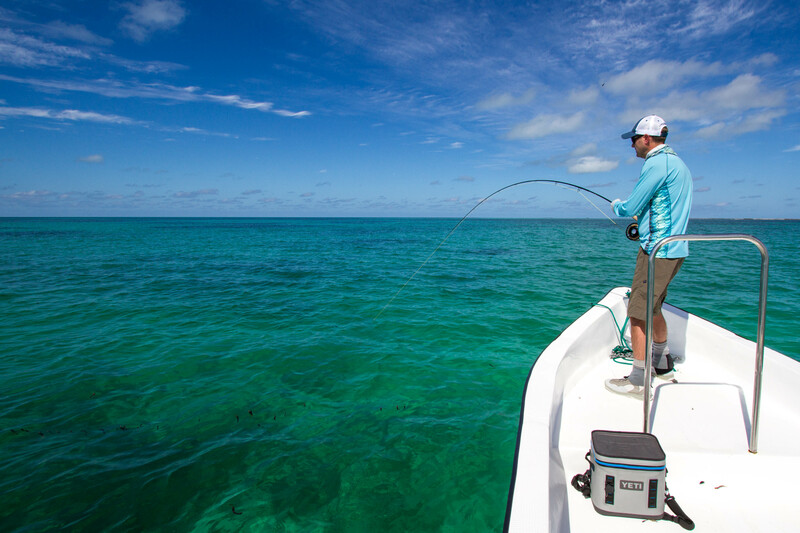 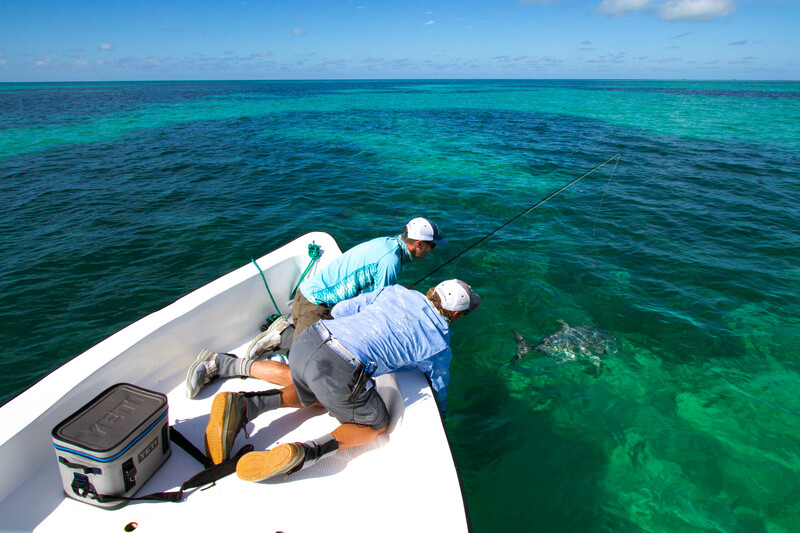 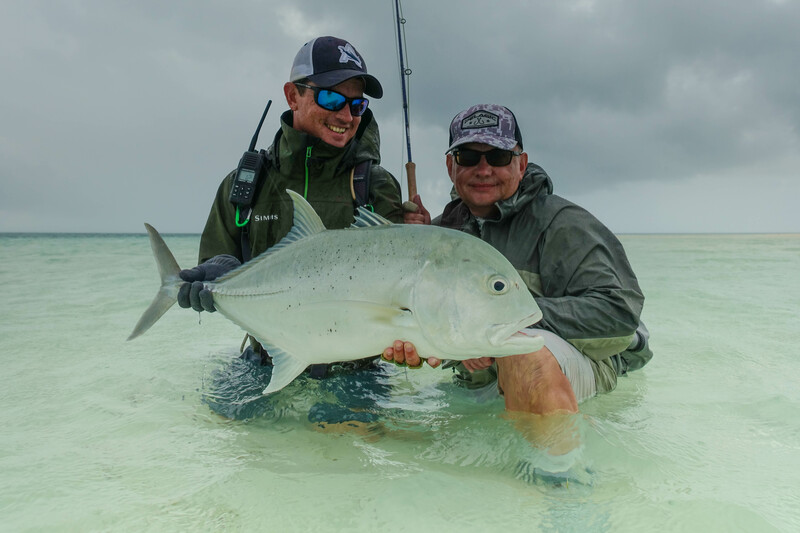 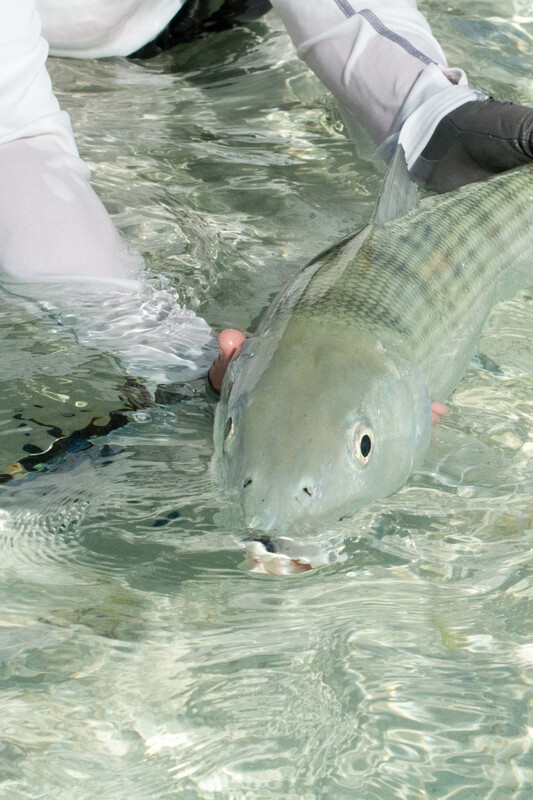 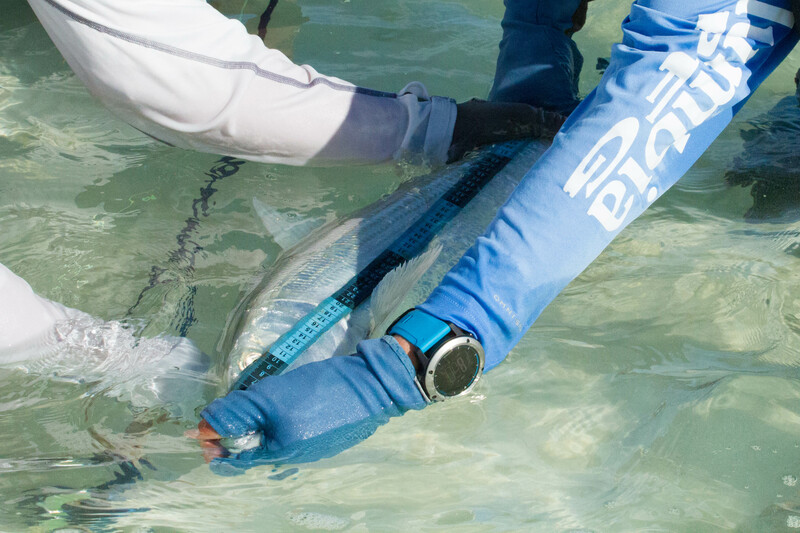 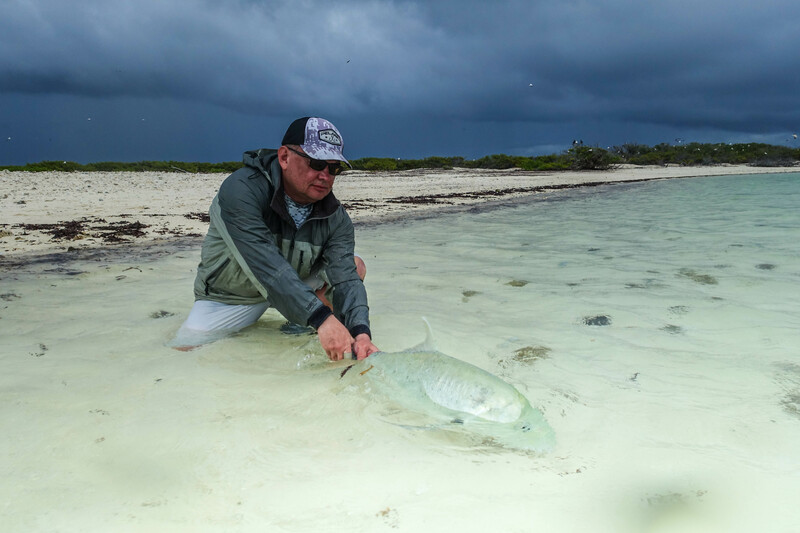 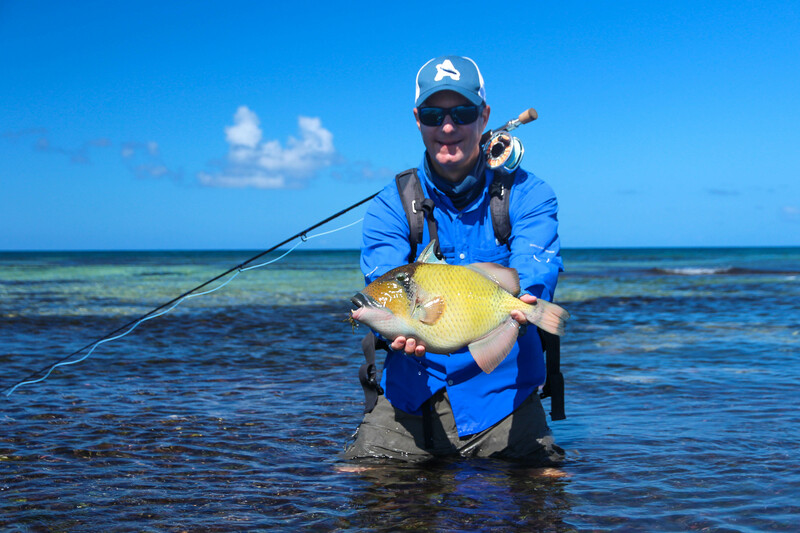 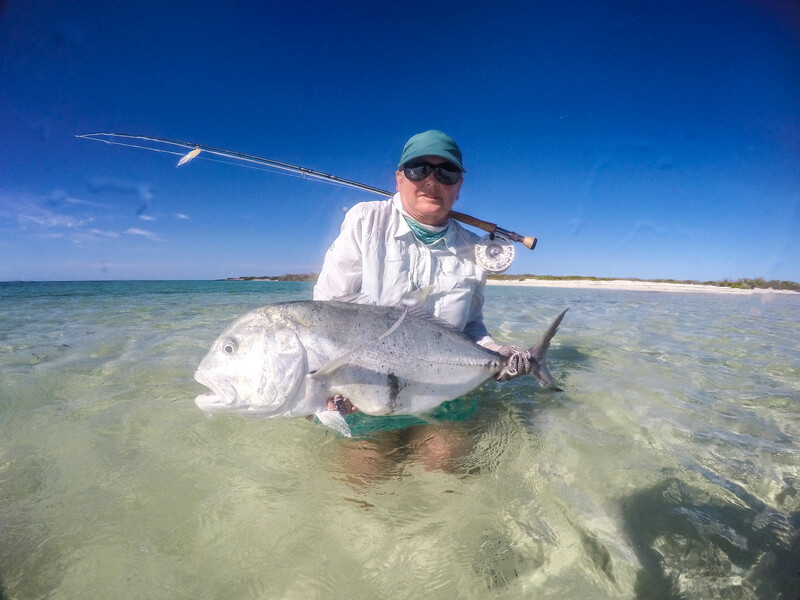 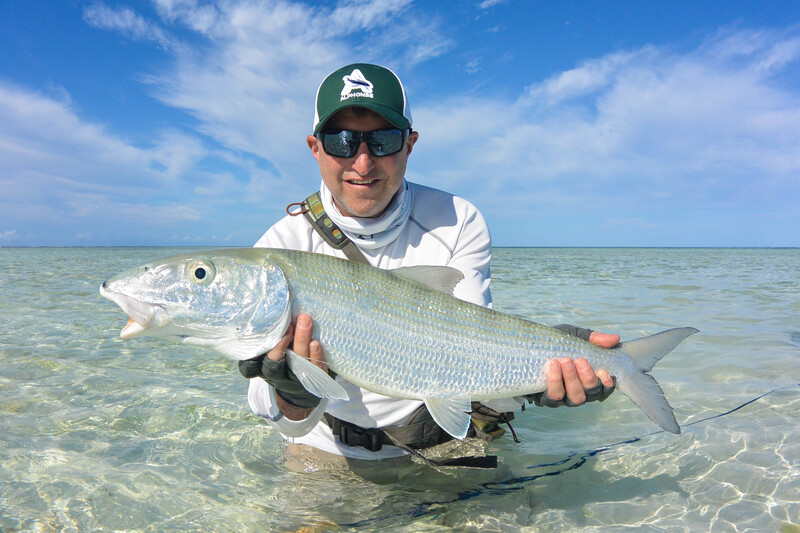 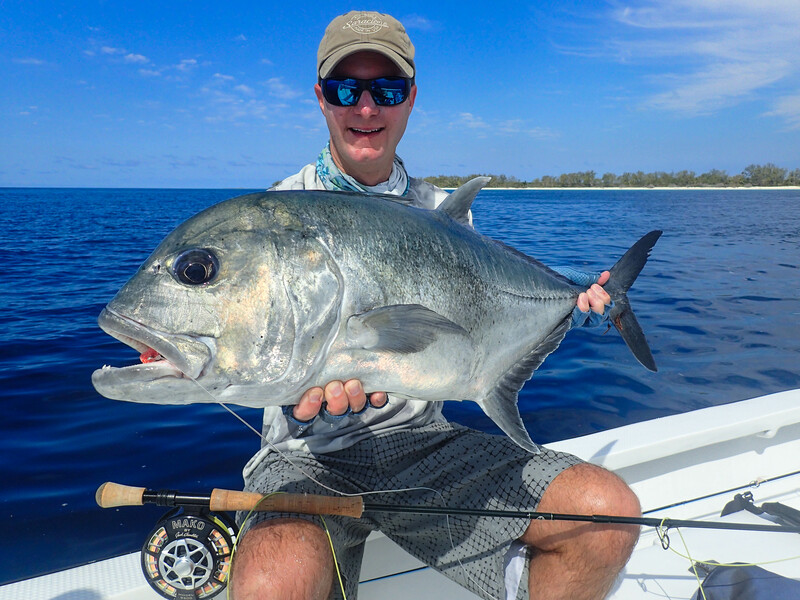 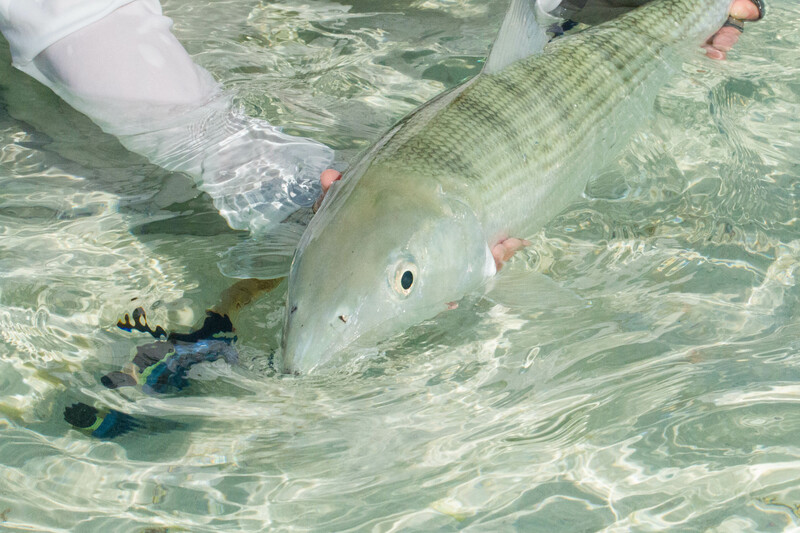 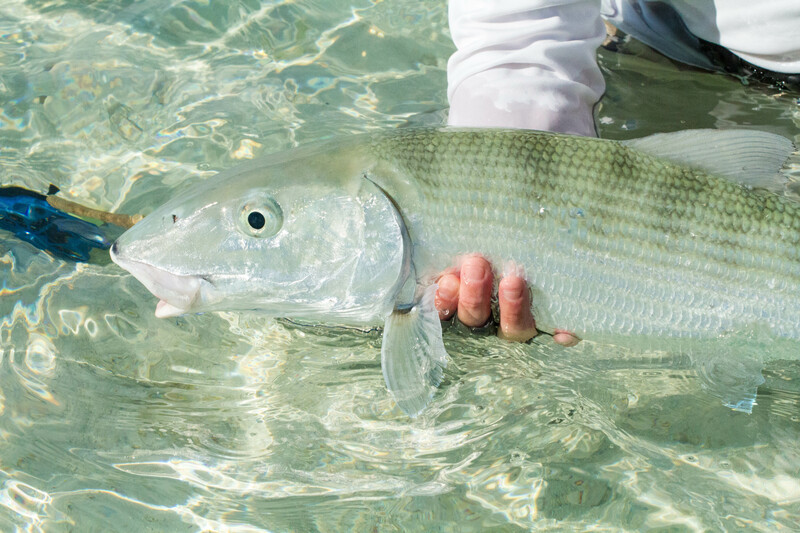 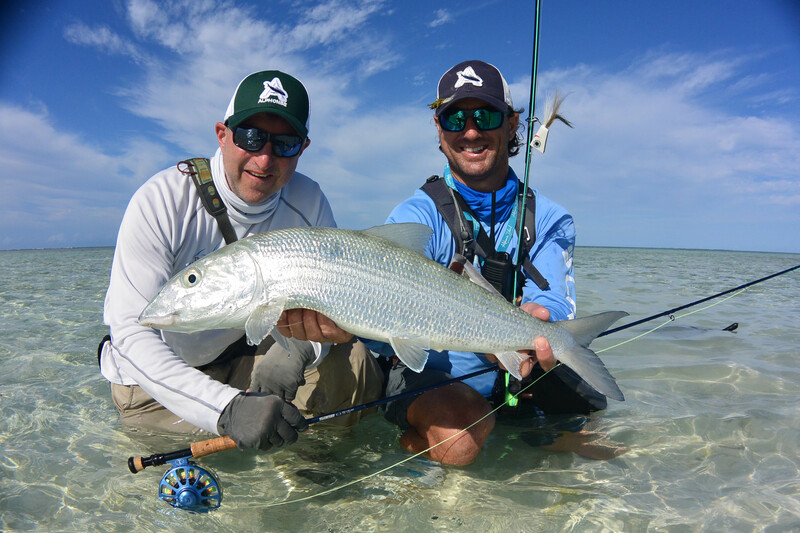 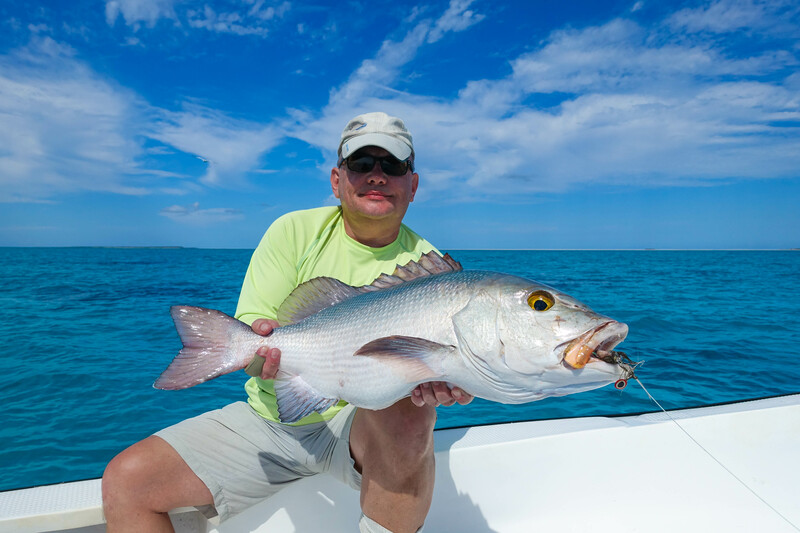 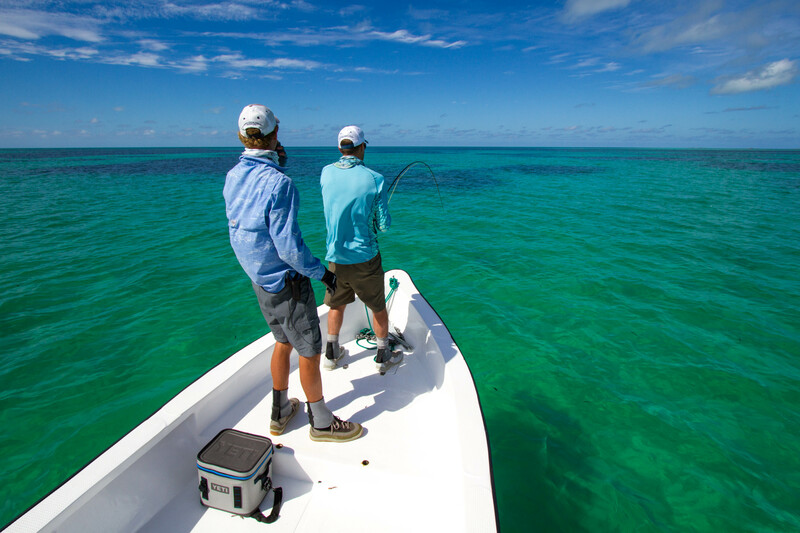 Jeff had an impressive tally of GT, his first ever moustache triggerfish and a bus 10 lbs bonefish that made sure he ended his week in stellar form. 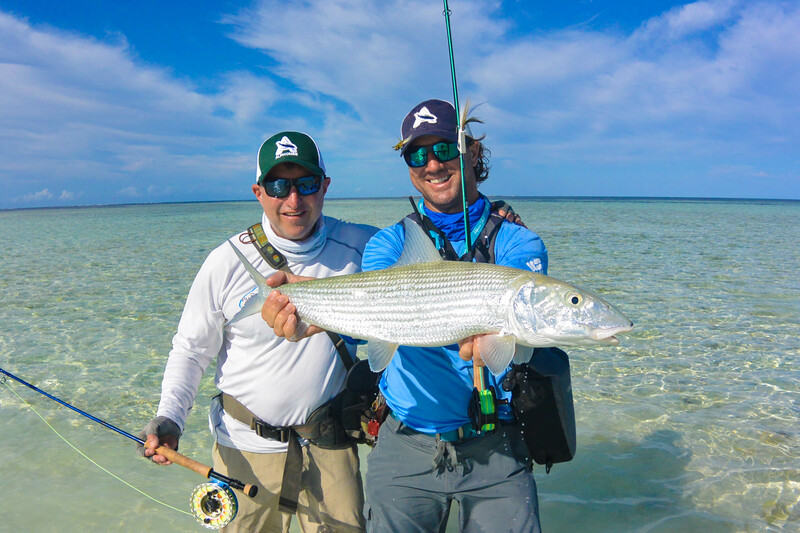 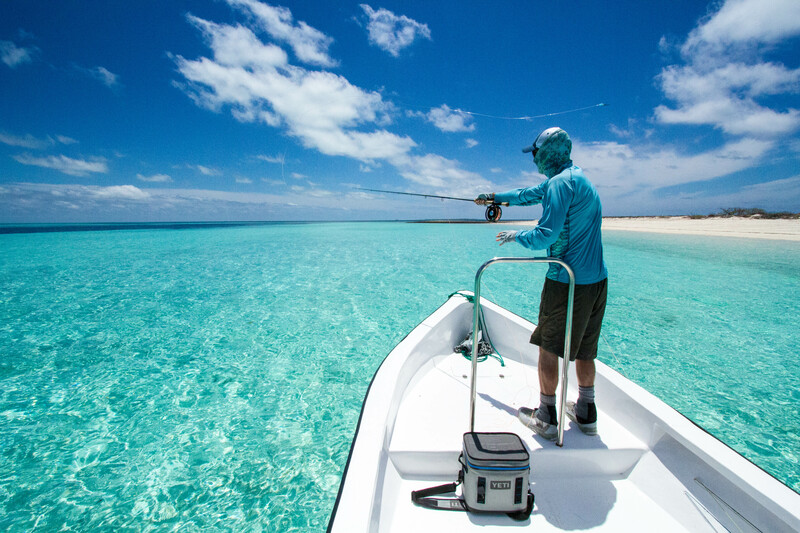 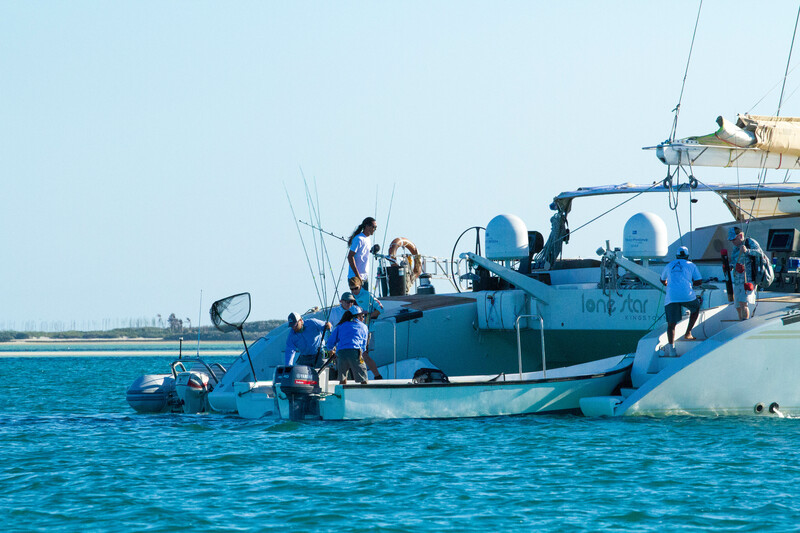 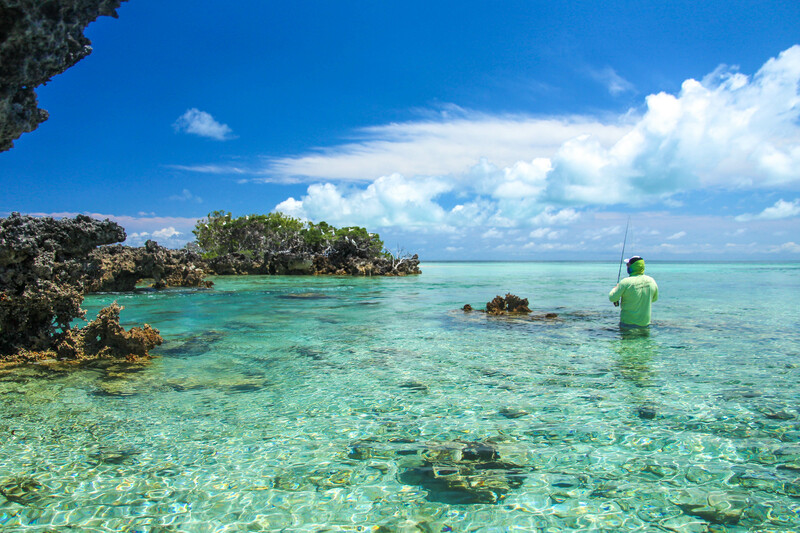 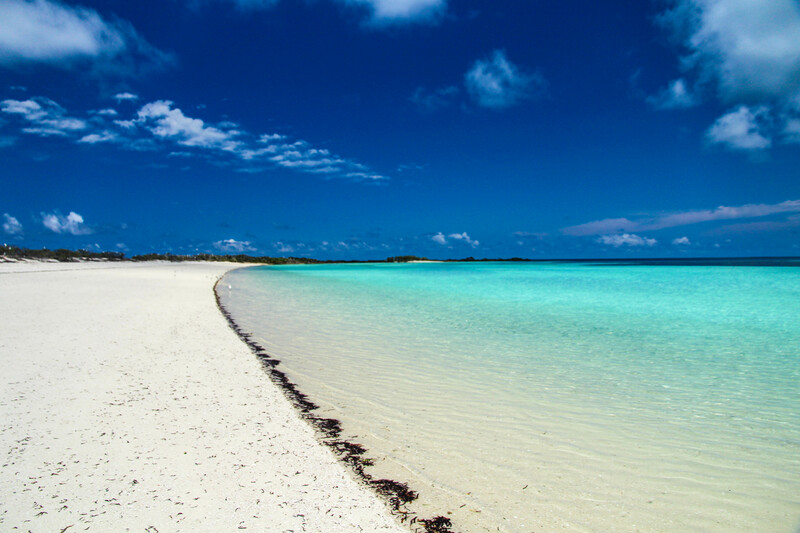 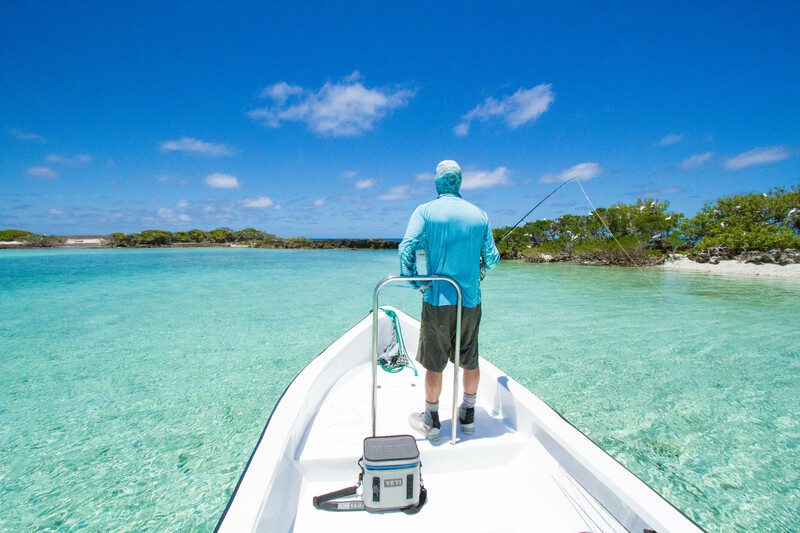 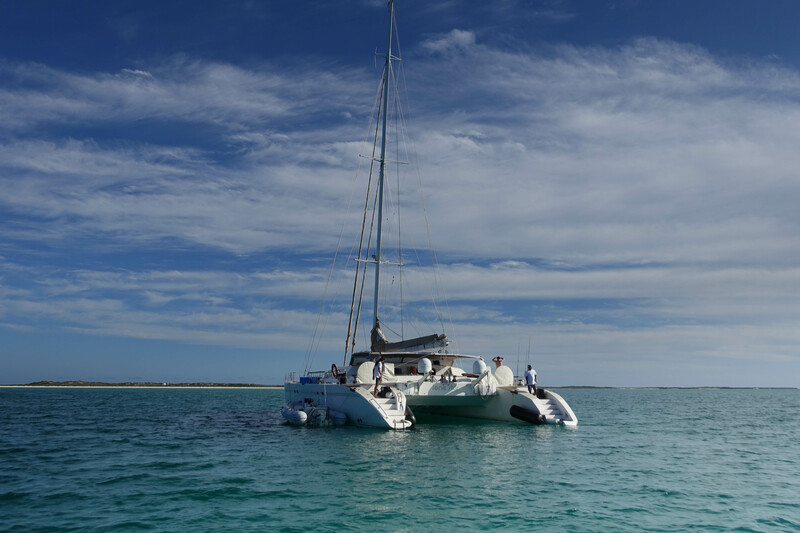 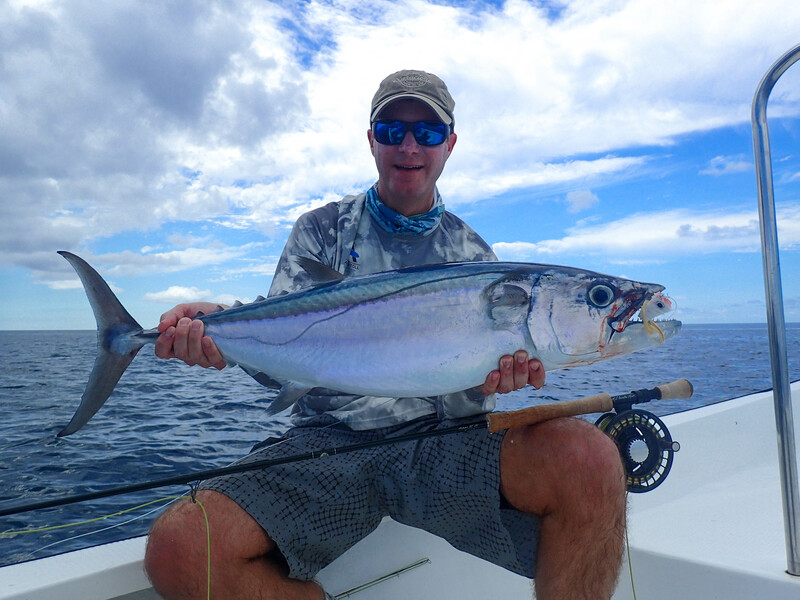 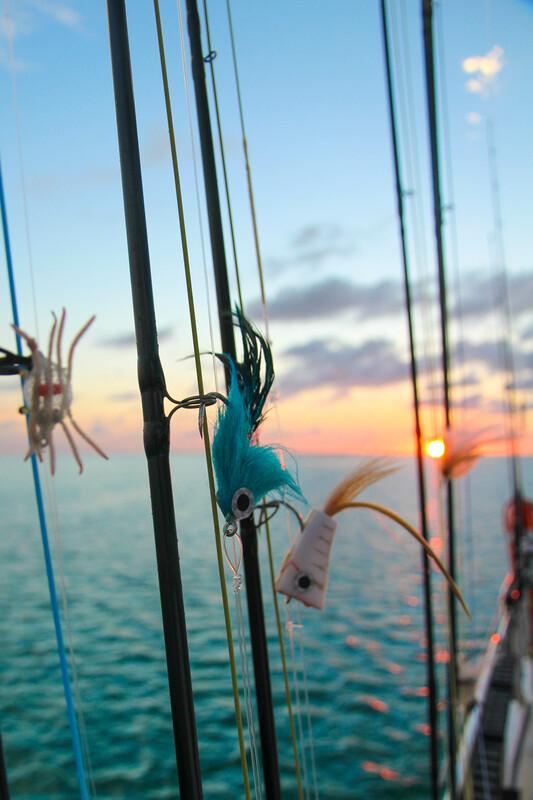 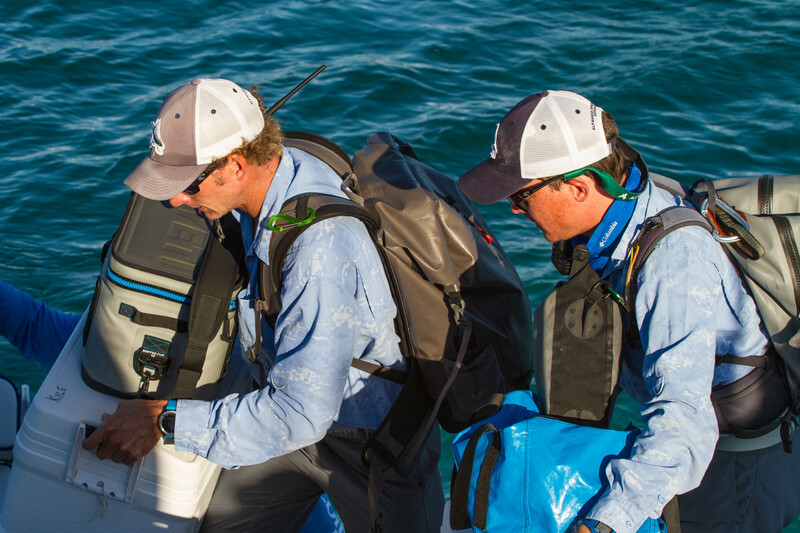 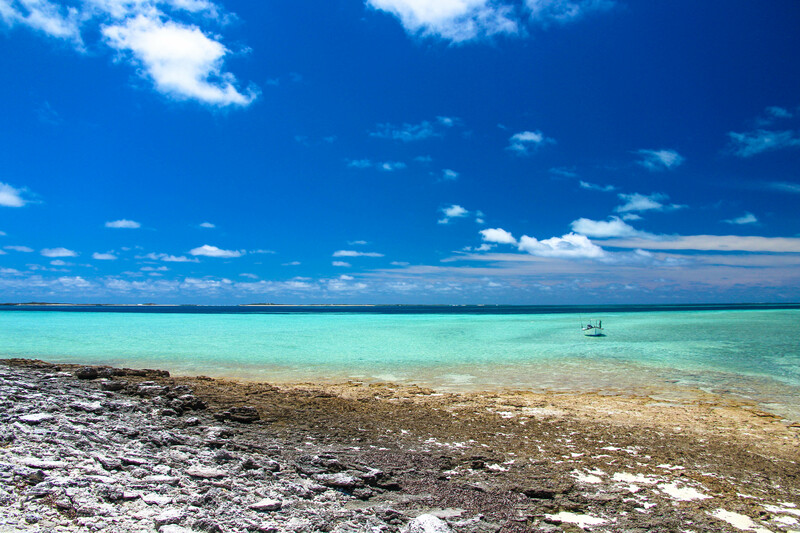 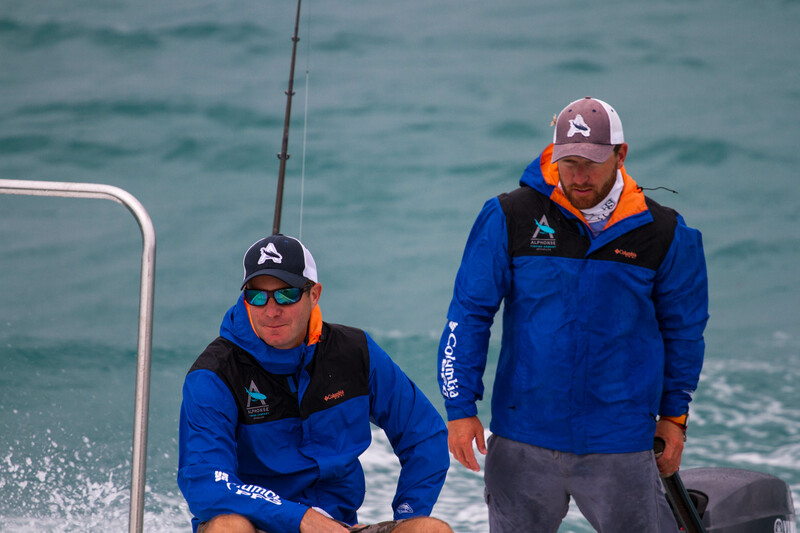 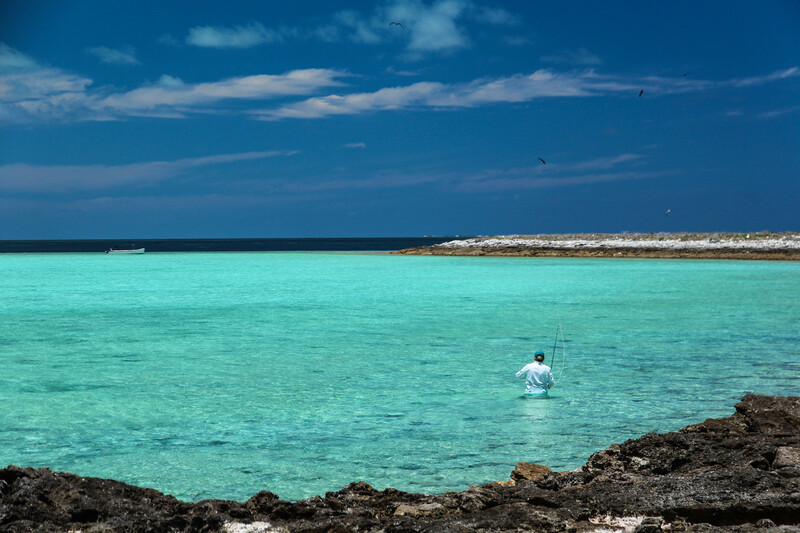 A total of 84 GT’s, 5 Triggerfish, numerous trophy bonefish and a host of big bluefin trevally, bohar snapper, barracuda and dogtooth tuna made for a great weeks fishing on one of the planets premier saltwater destinations. 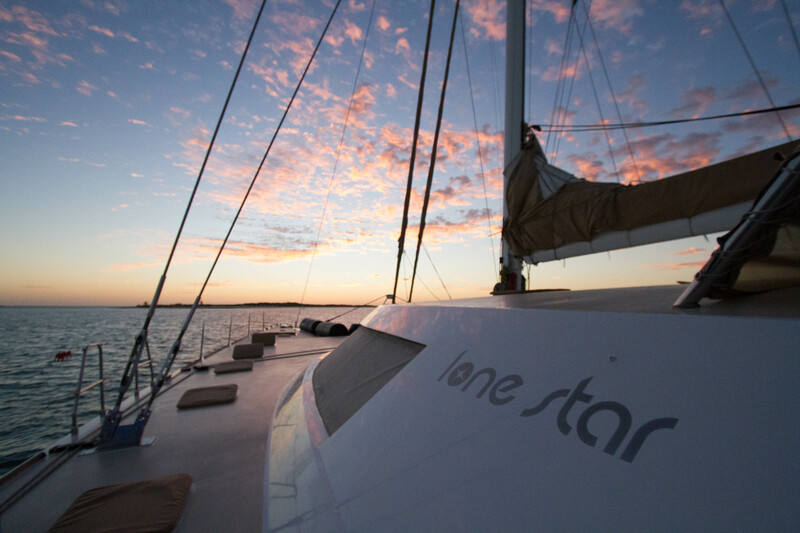 The guide team and crew of the Lone Star could not have asked for a better start to the season and all look forward to what the rest of the season has in store for our guests. 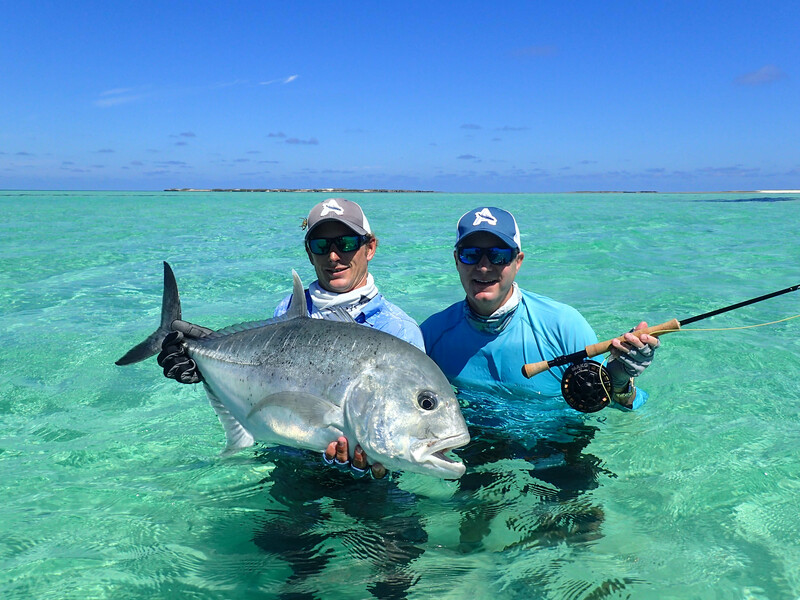 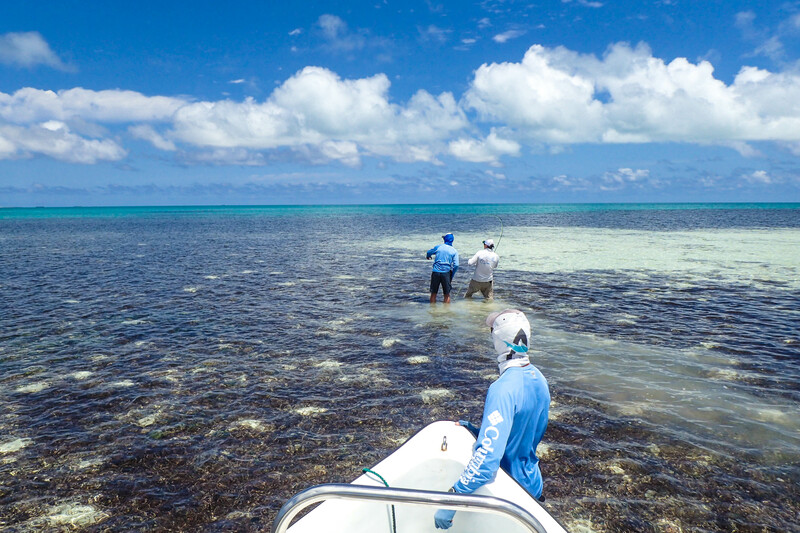 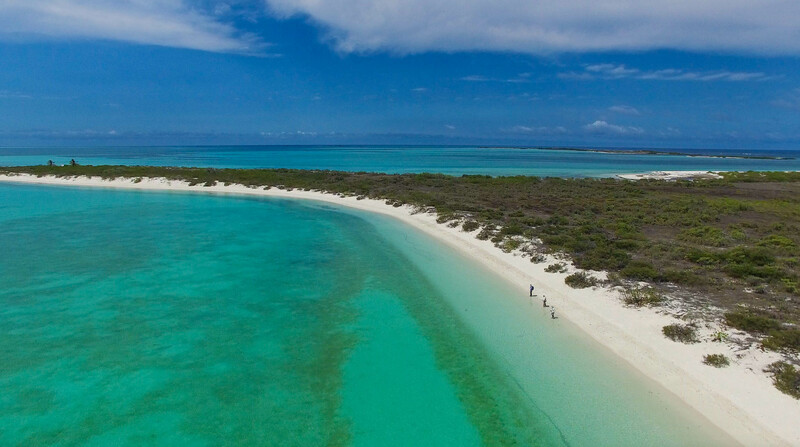 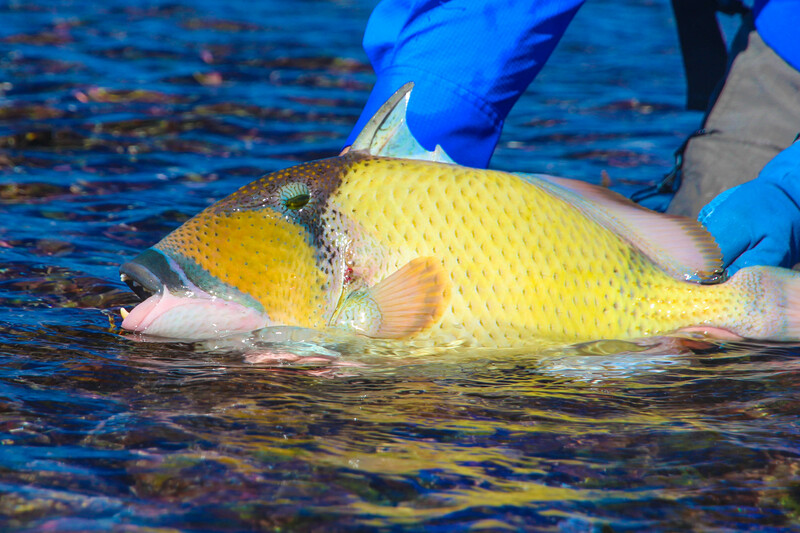 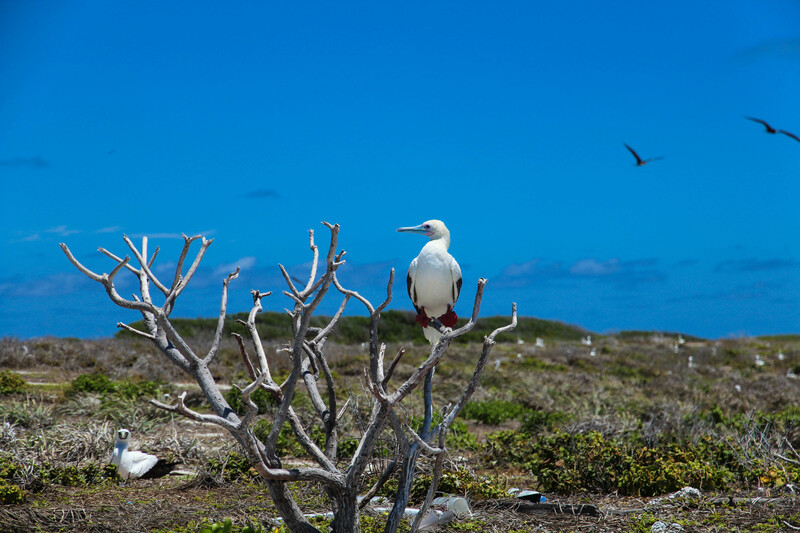 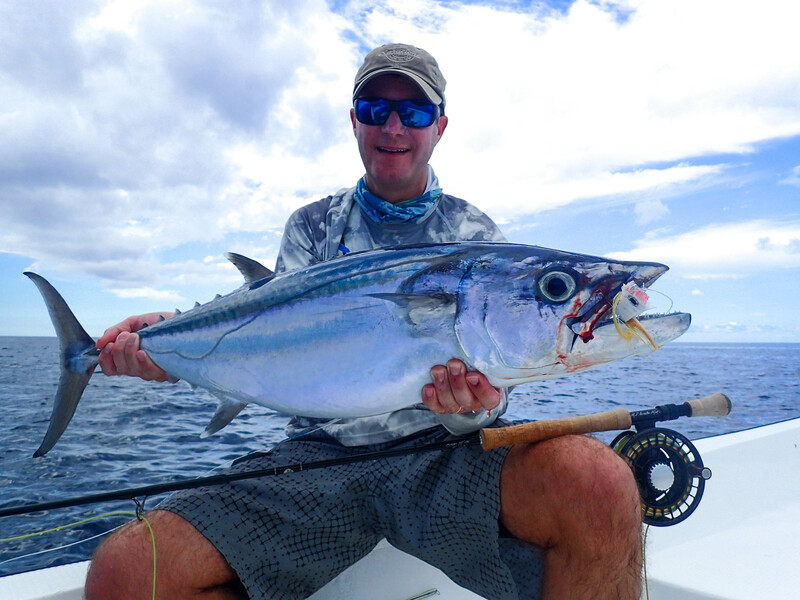 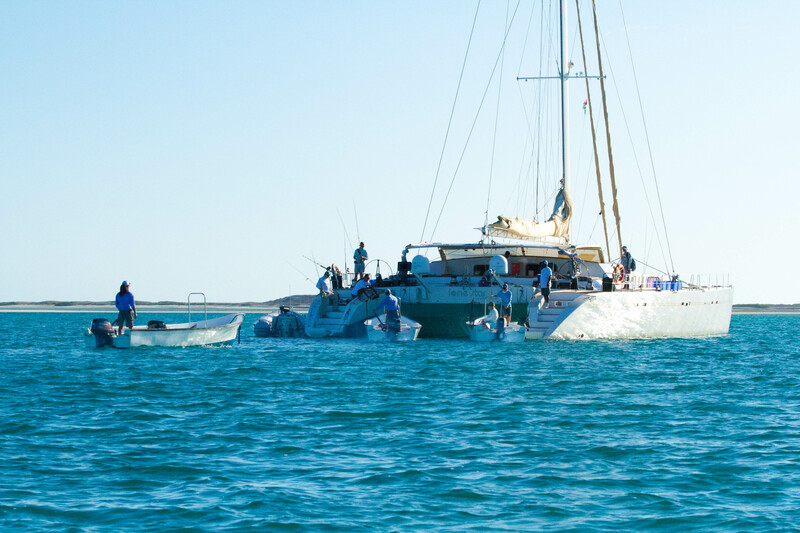 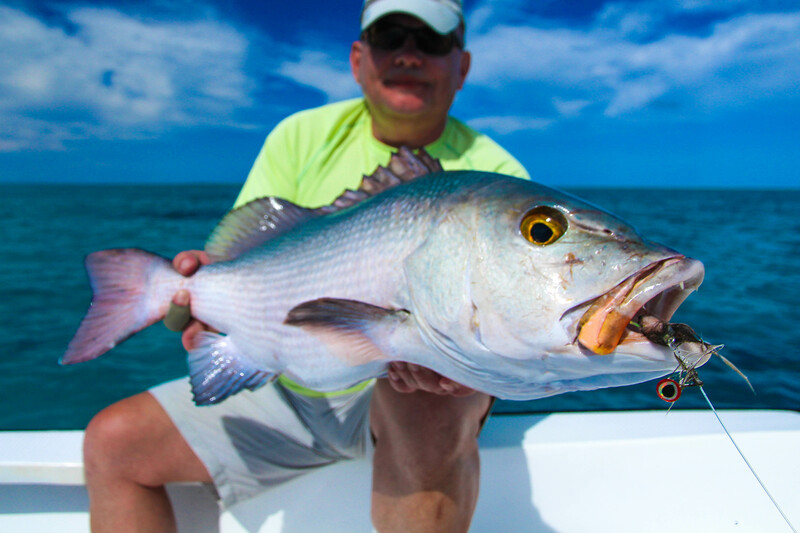 Find more images of the Cosmoledo Season Opening in the below or read the latest Weekly Fishing Report of Alphonse.